Hello all. I've just returned from having my first CAT-scan. No worries, hopefully. Just checking things out. 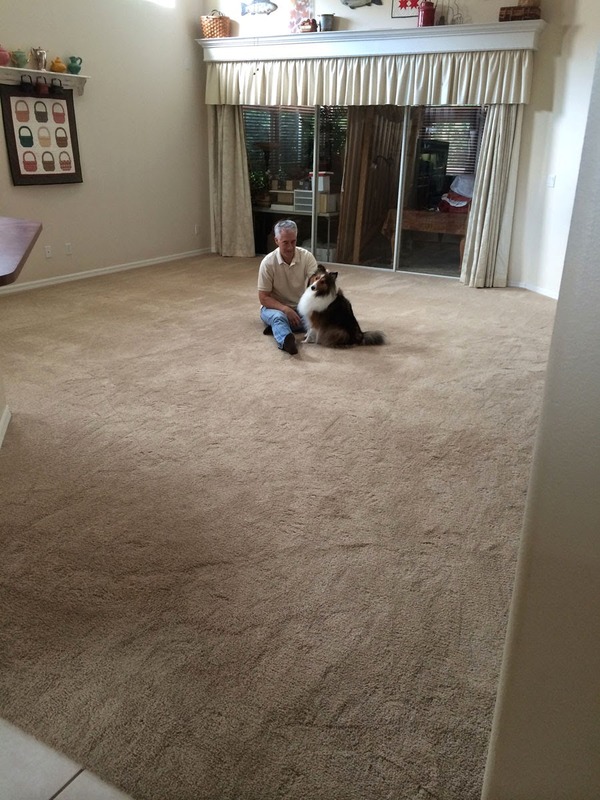 The whole thing was fairly easy and quick. The warm sensation from the iodine injection was odd, but I knew to expect it. I'm glad they warned me about it feeling like I was "peeing" because it's exactly how it felt by the time the warm sensation made its way down south. 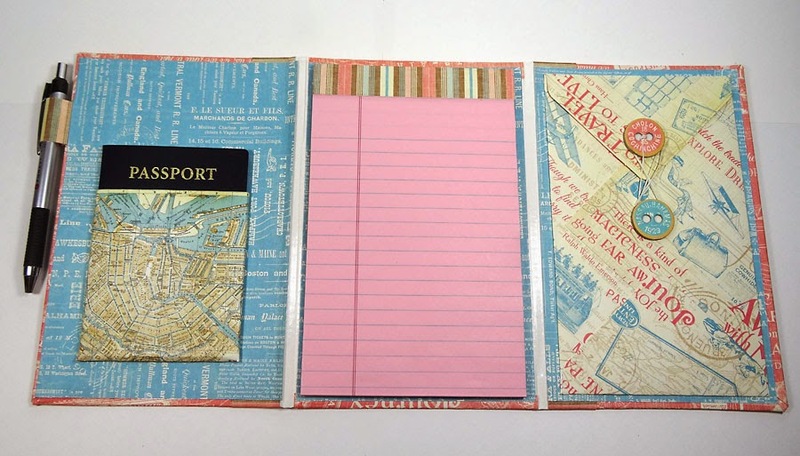 I'm sure you didn't come here to hear about THAT, so let me share with you a fun and easy travel folio I created for the Graphic 45 blog using their pretty Come Away With Me collection. 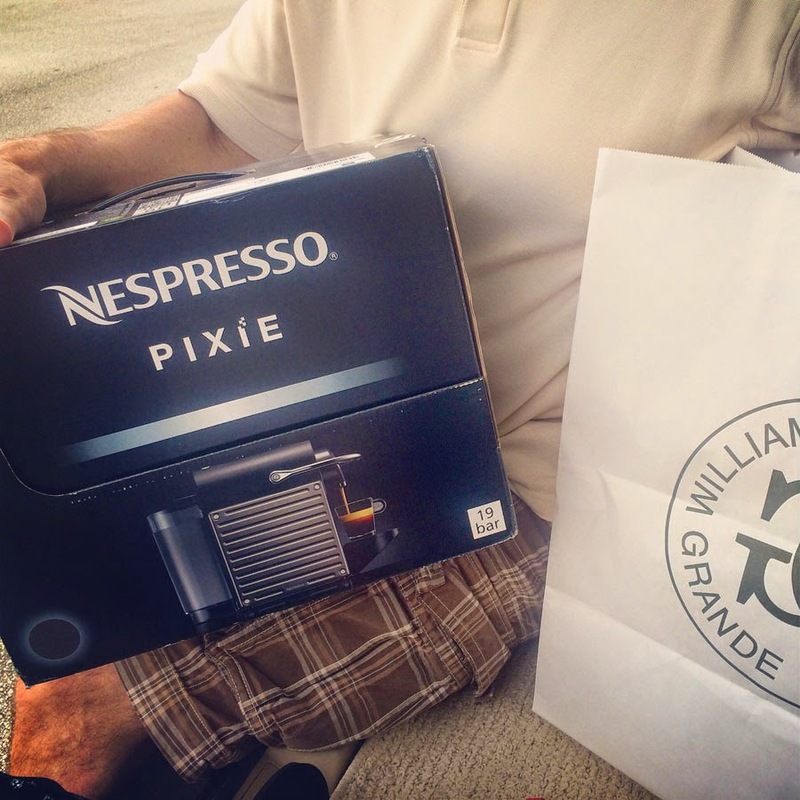 This would make a great gift, whether for travel or any other occasion. 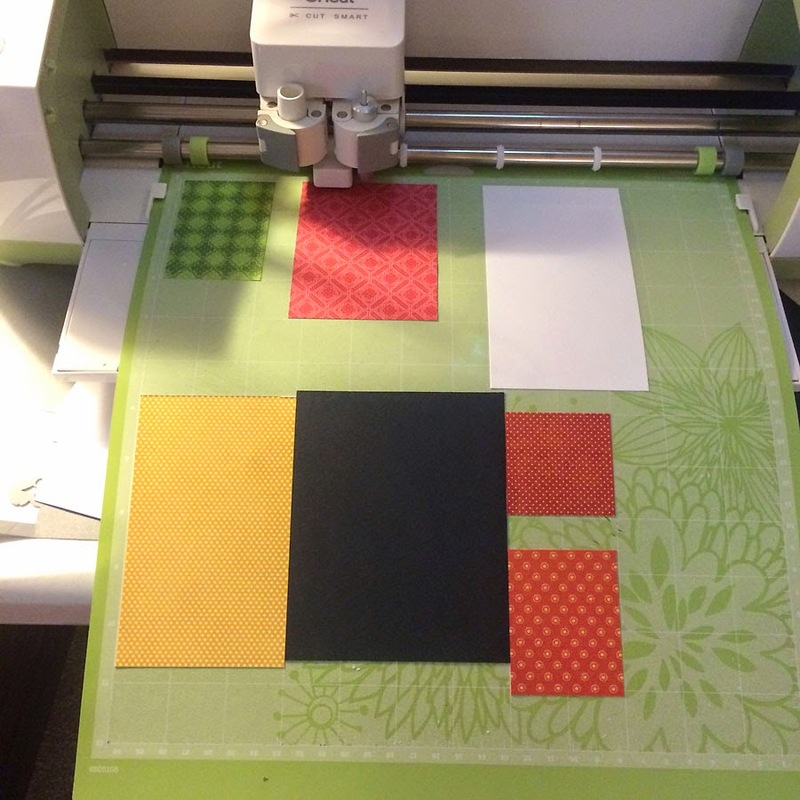 Here's a few photos below, but make sure you go over to the Graphic 45 blog because I've got a Snapguide tutorial there too, along with the supply list to make your own. Another great Saturday with another great challenge from the fantastic technique book A Compendium of Curiosities Vol. 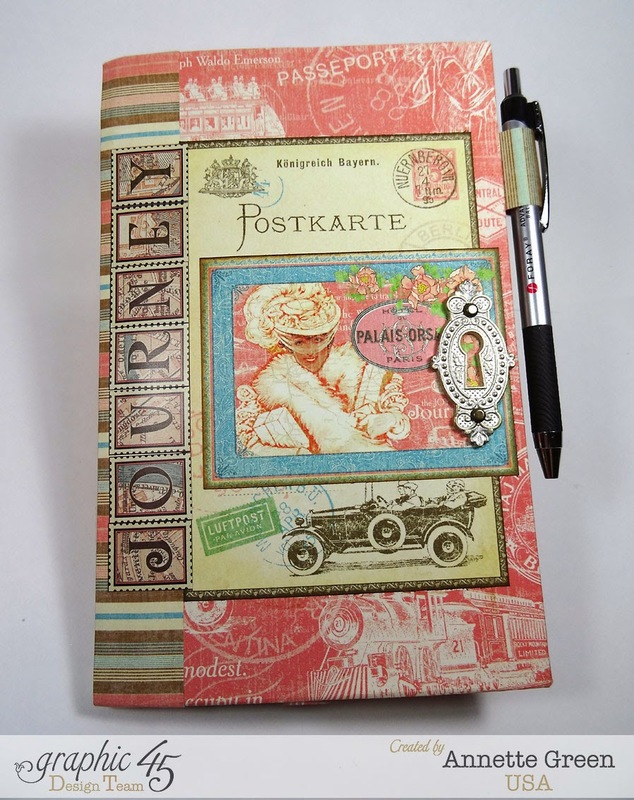 III by non-other than Tim Holtz. 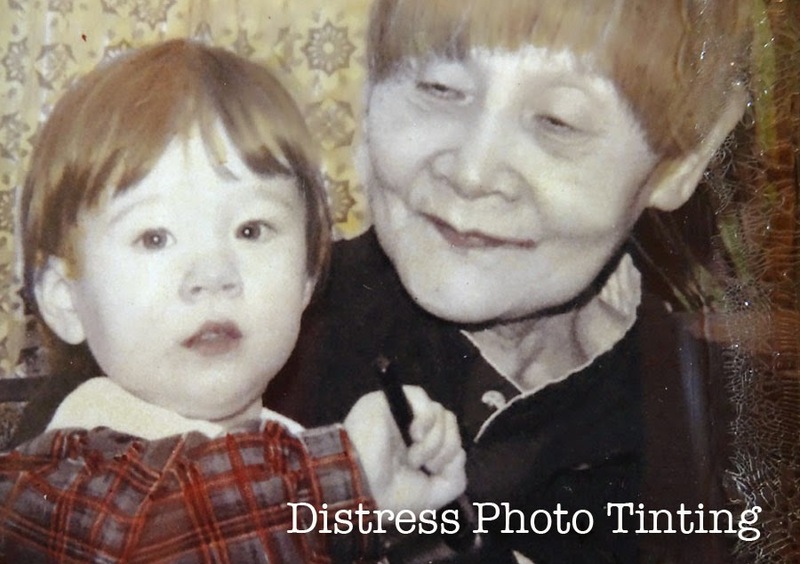 We're already on the 12th challenge and it's called Distress Photo Tinting which can be found on page 41 of the Compendium book. Have you been playing along? Even if you haven't, it's okay. You can jump in at any time! Just grab your book, try out the technique on a project, and upload it to the challenge here. Remember there are specific rules you must follow in order to be entered in the challenge for a chance to win some fabulous goodies, so take a few minutes to read the rules here before you post. Either way, it's a great way to learn and try out new techniques. 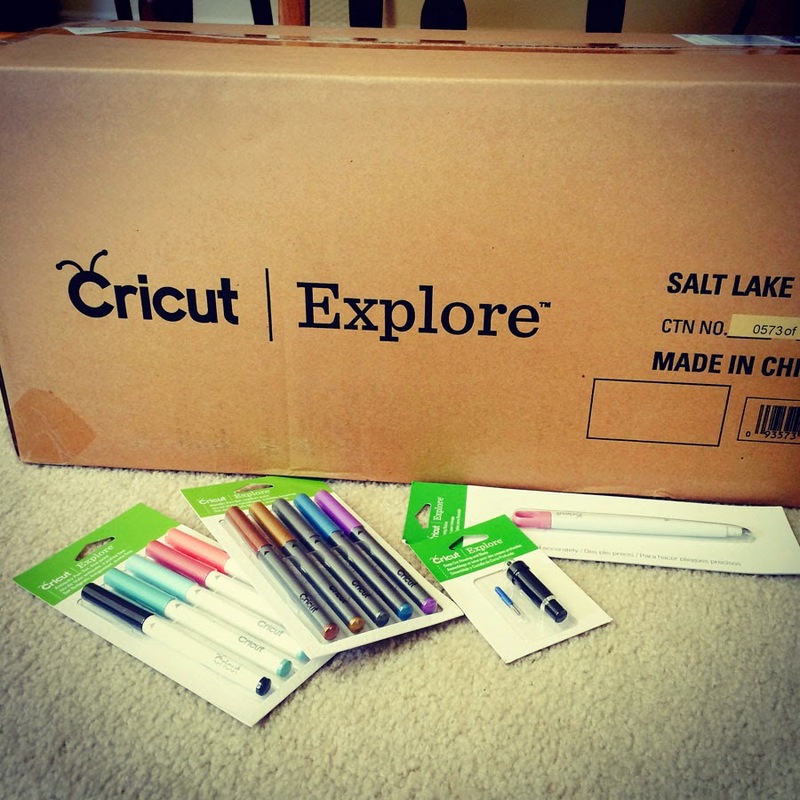 For more info about the challenge, keep reading to the end of my post today. 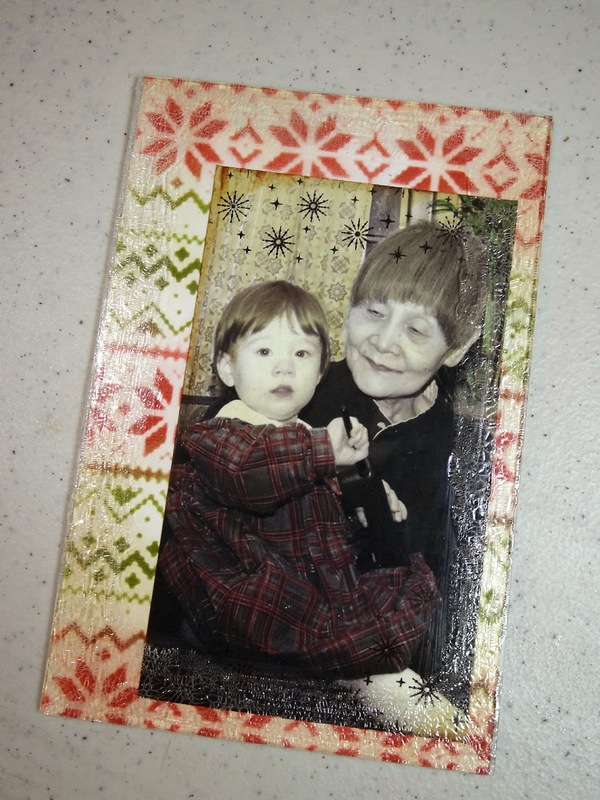 I have been in the Christmas mood with my crafting lately, so I decided on a framed display piece to remember my sweet mother-in-law, Saiko, who passed away a few years ago during the holiday season. 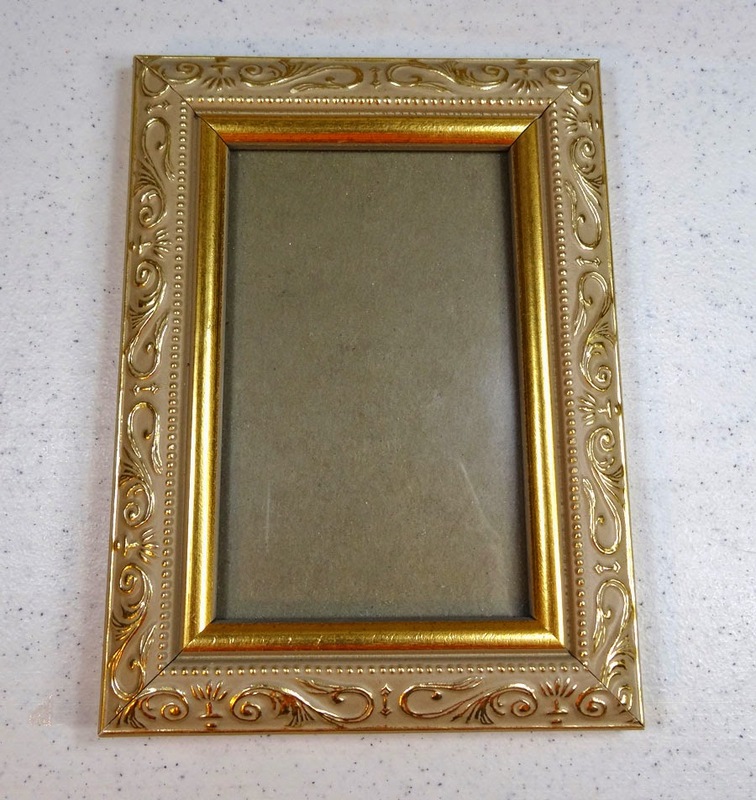 It started with this 5" x 7" frame I found at my local Goodwill store for only 69 cents. 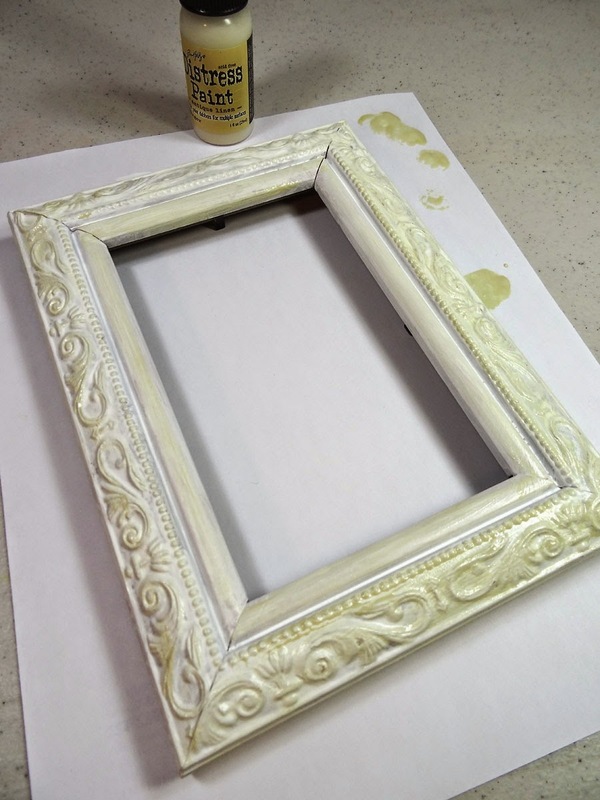 I first painted the frame with two coats of Picket Fence Distress Paint. 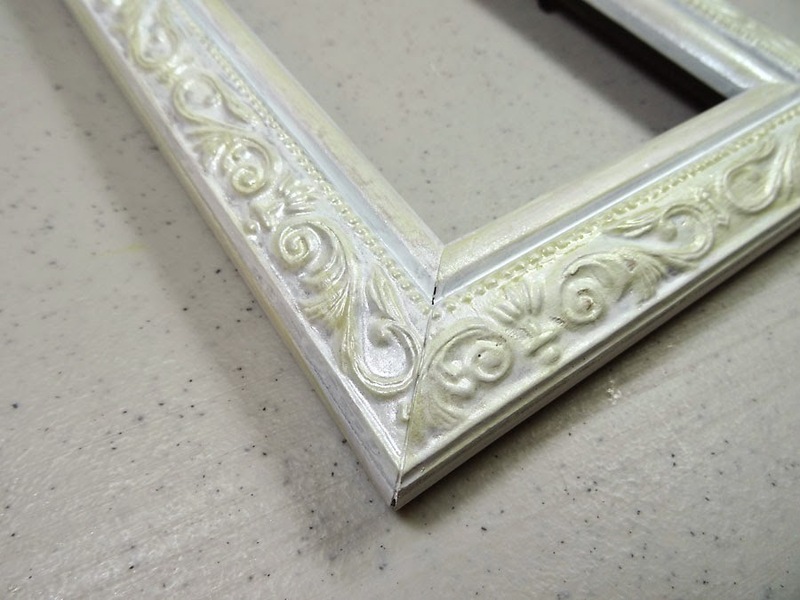 Then I rubbed Antique Linen Distress Paint over the raised surfaces of the frame's details. 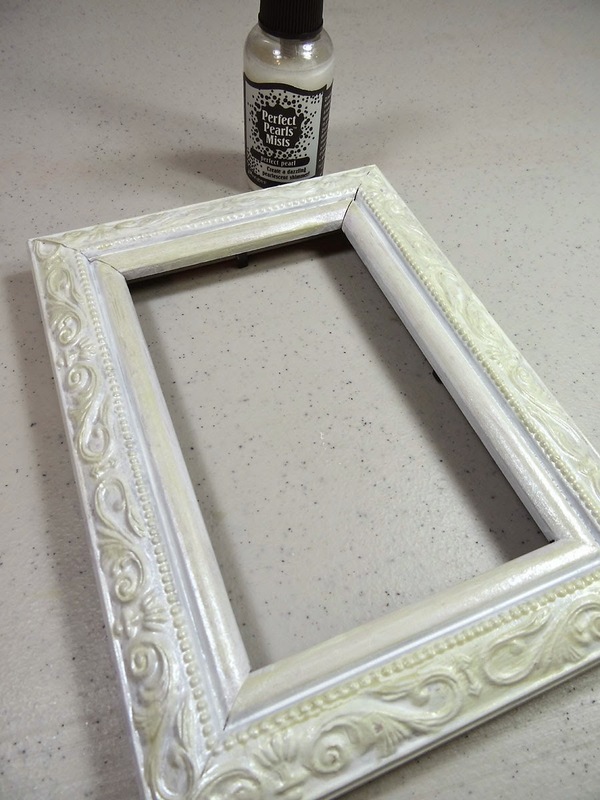 To give it a bit of sparkle and shine, I spritzed it with a few shots of Perfect Pearls spray. Now it has a little shabby chic feel with a bit of sheen. After cleaning the glass I brushed a thin coat of Matte Multi-Medium on the outer edges to prepare it for crackle paint in the next step. 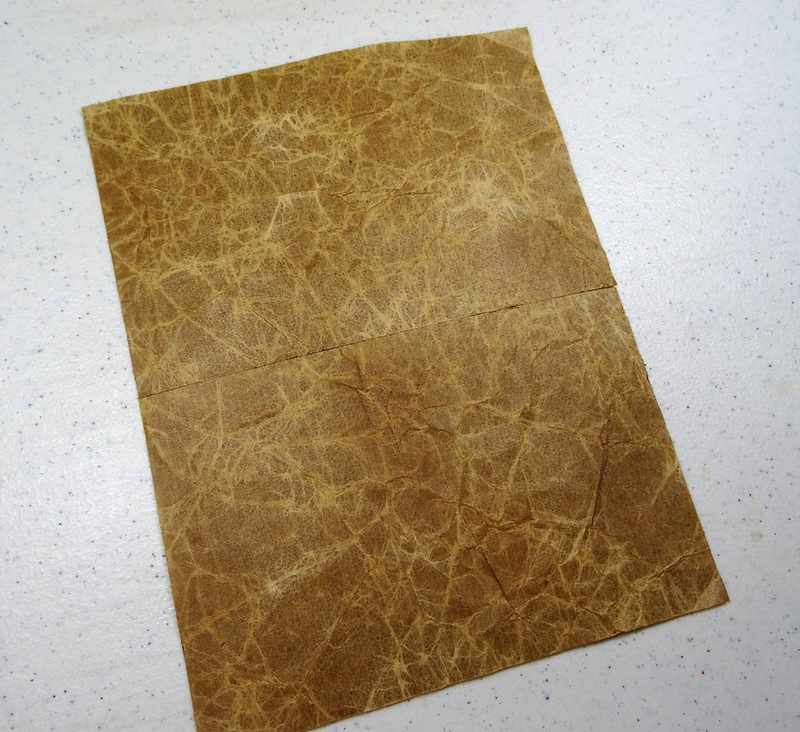 The crackle should go on medium thick like this for best results. I blob it on, rather than brush it. 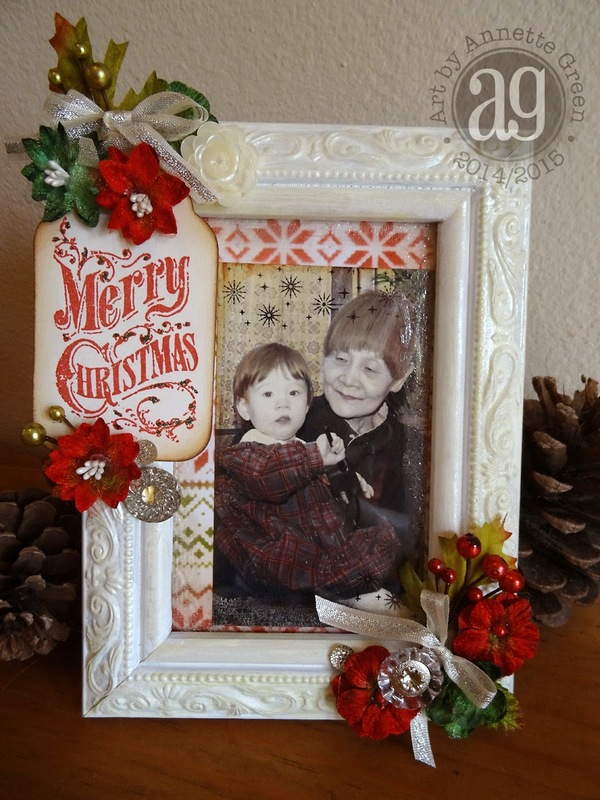 For the inside my frame I created a background by stenciling Fired Brick and Peeled Paint Distress Inks onto cream card stock using the Holiday Knit stencil. 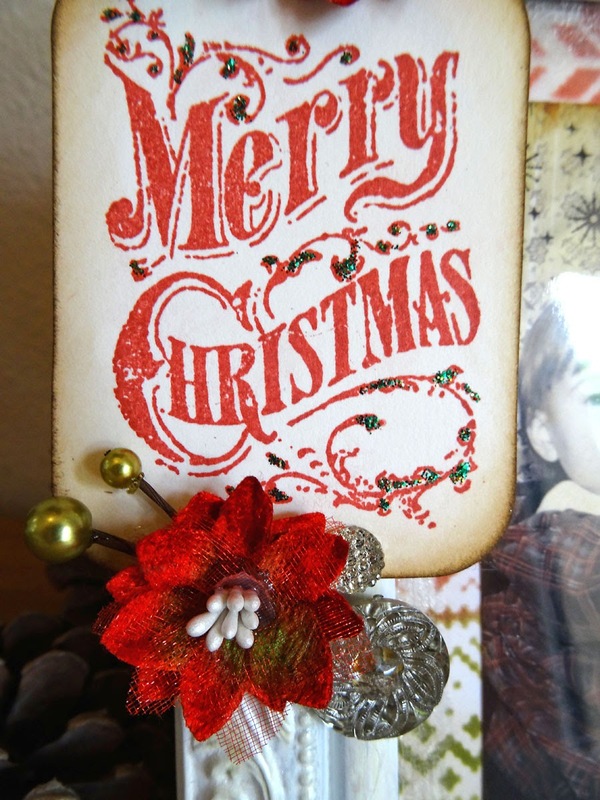 After distressing the Holiday Knit background with Antique Linen and Vintage Photo Distress Inks, I stamped some starbursts from the Vintage Nostalgia stamp set by Stampers Anonymous. Then I adhered my tinted photo to the lower right area of the background piece, and after putting the glass on top, inserted everything into my frame. The photo was taken a long time ago when my in-laws lived in New Hampshire and my daughter Jamie was only a year old. I love this photo of my mother-in-law because she rarely let me take her photo, always trying to hide her face or look away. This photo reminds me how sweet and shy she was and how much she loved Jamie. It was only a few years after this photo that she developed Parkinson's Disease. 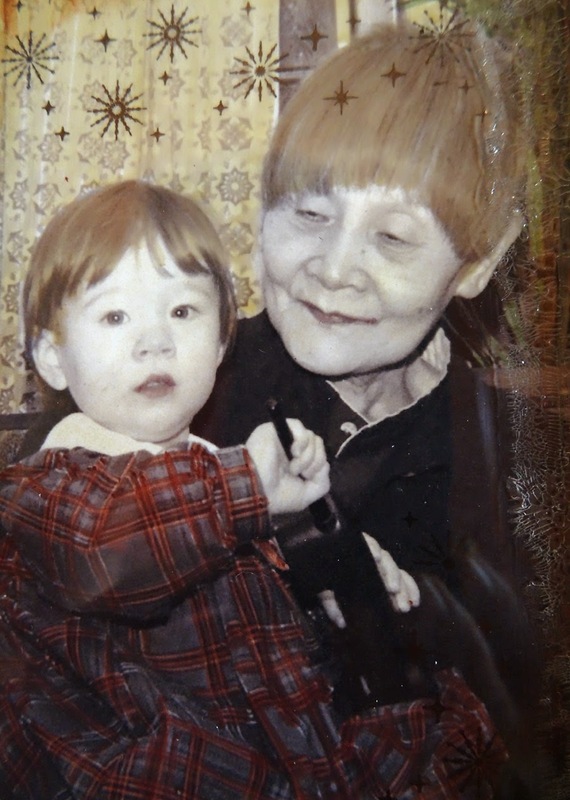 She had a rough handful of years before she passed away, but this photo is how I will always remember her in my mind and in my heart. Jamie is so much like her in so many ways. I always thought they shared a special bond. 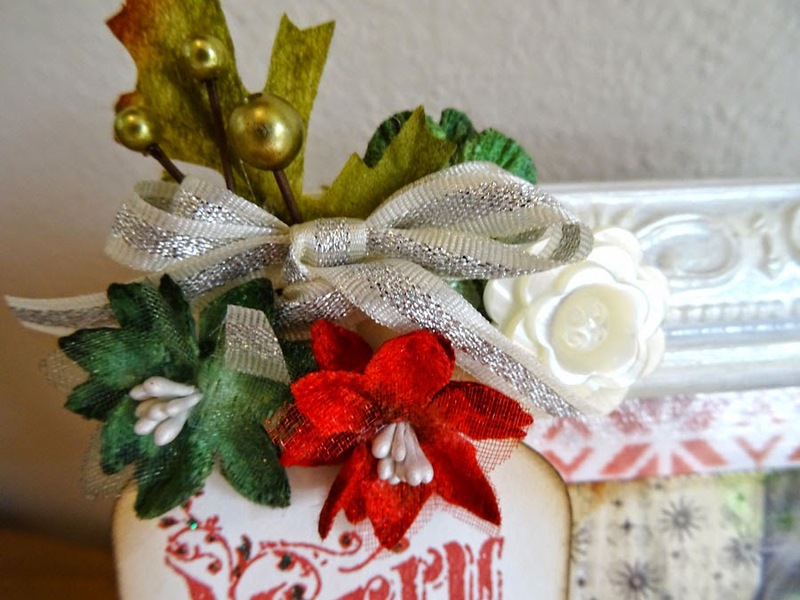 To adorn my frame I chose pretty holiday flowers from Petaloo, plus some sparkly ribbon from May Arts, and a couple of vintage style buttons from Tim Holtz. 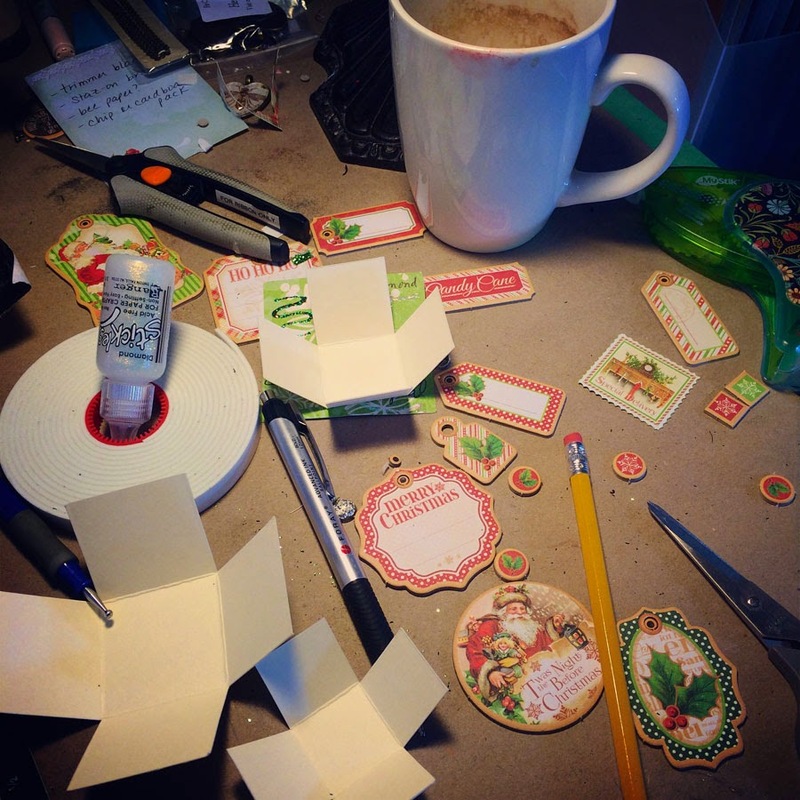 Onto a card stock tag I stamped Merry Christmas (also from the Vintage Nostalgia set) and added some green Stickles as accents. 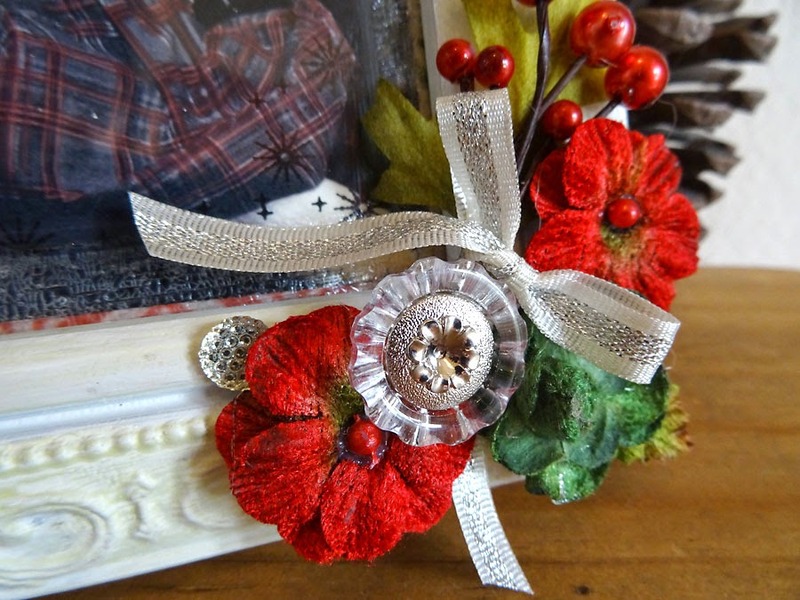 More flowers, ribbon and buttons adorn the frame around the tag. Here's another look at my finished frame. I love that I have this keepsake to remember Saiko during the holidays. Who knows? Maybe I'll keep it out year-round. And don't forget, you can find these great products I've used today at The Funkie Junkie online store. Hello and thanks for stopping by today. 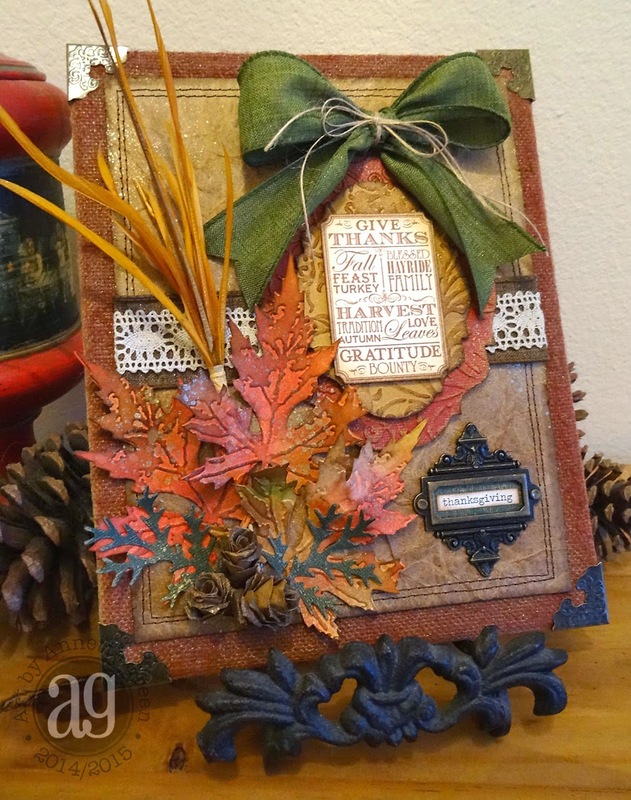 I have a festive Fall card tutorial to share with you today. 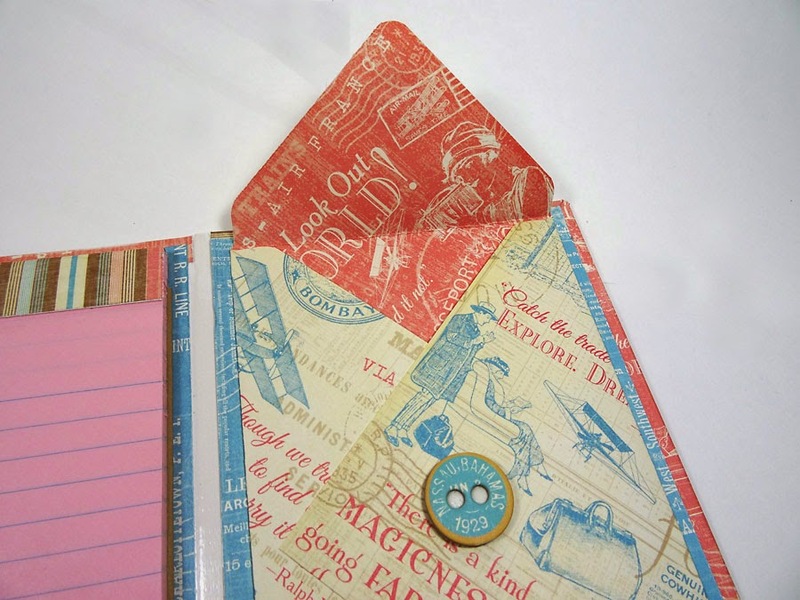 It's made with Graphic 45's wonderful "An Eerie Tale" collection with some help from some Petaloo leaves and May Arts ribbon. Check out my Snapguide and give it a try! 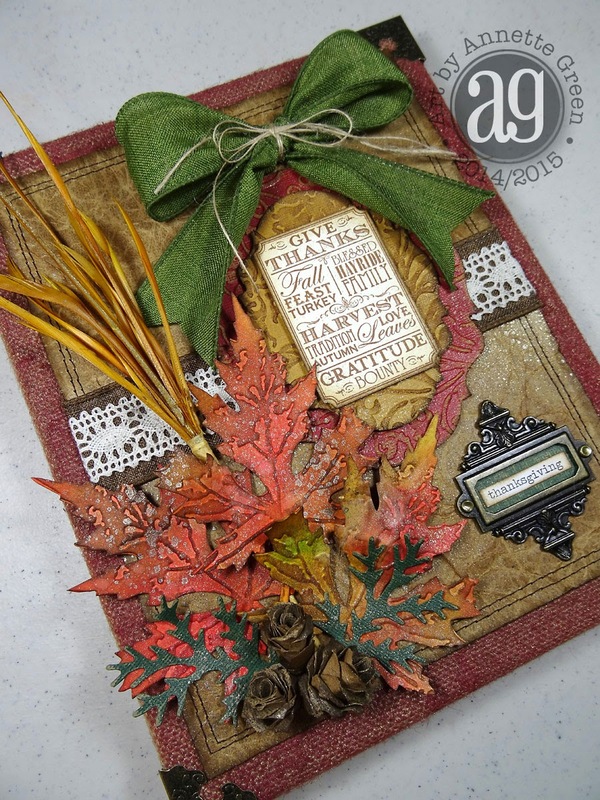 Check out How to Create a Festive Fall Greeting Card by Annette Green on Snapguide. 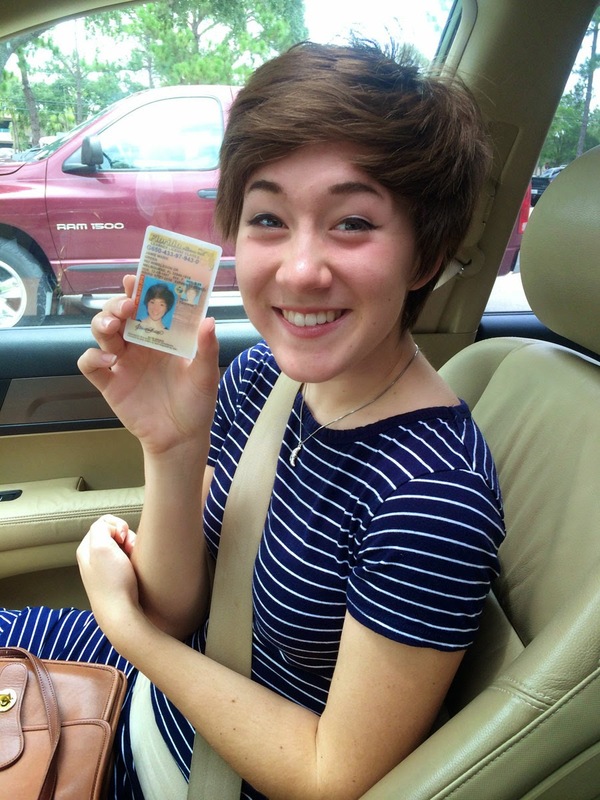 Jamie (finally) got her driver's permit. 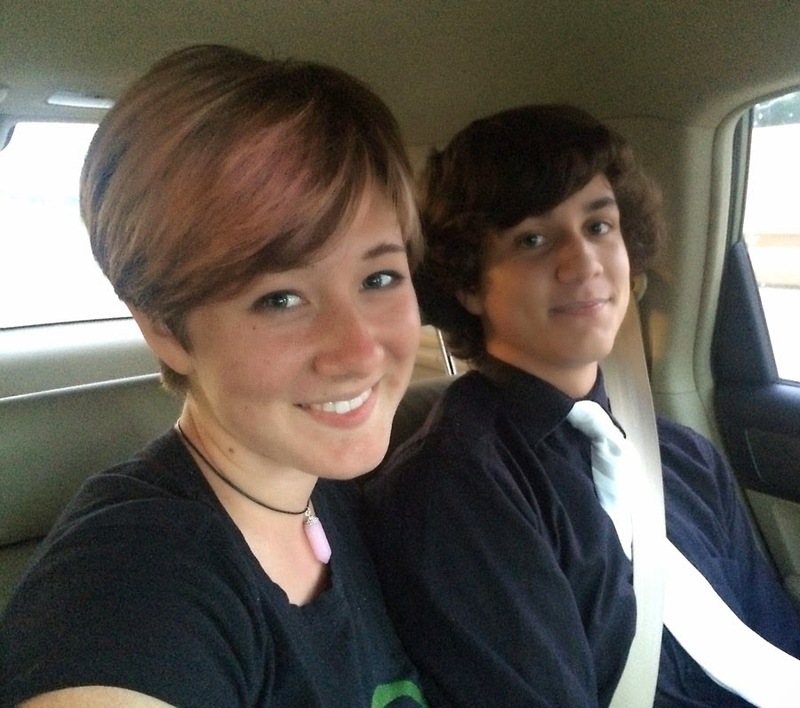 She's one of those kids who didn't really care to drive yet (or ever). We had to push her. Now she likes it. 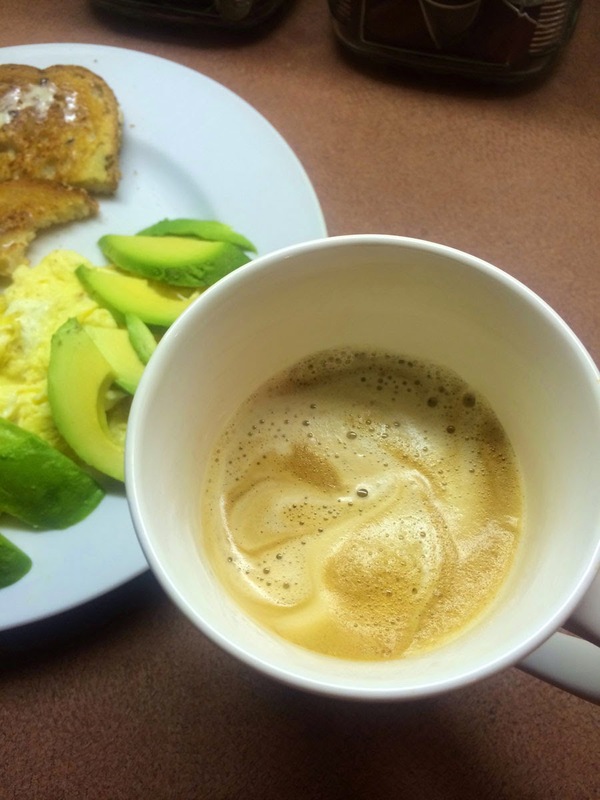 Make lots of yummy coffee. High school football season started. My buddy Lisa and I usually sit together in the band parent section. Her daughter Alivia is in the band, and Jamie's in the color guard. Our girls have known each other since kindergarten. 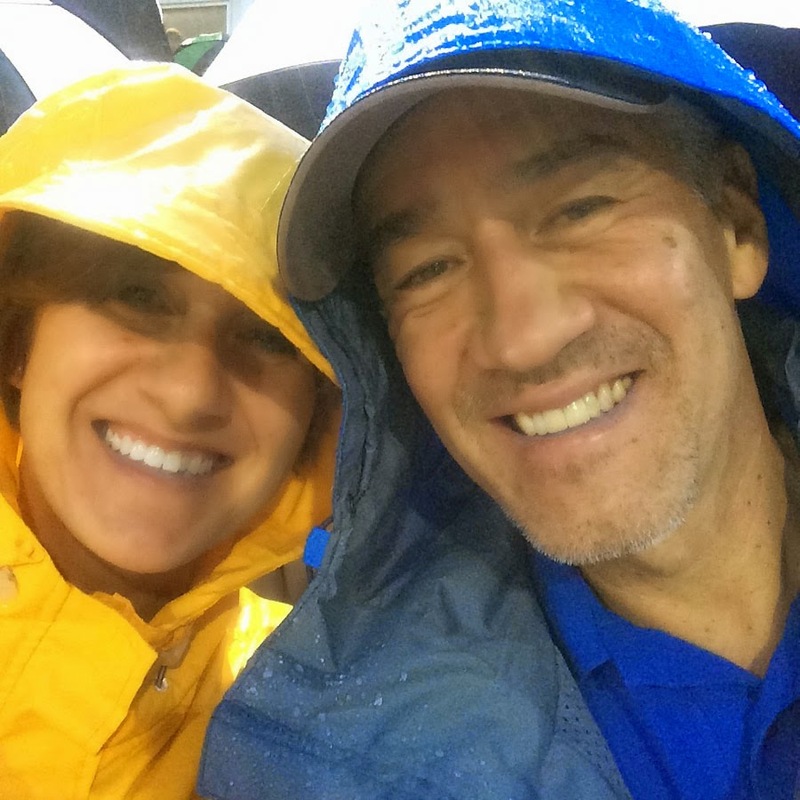 We go to every football game, rain or shine. 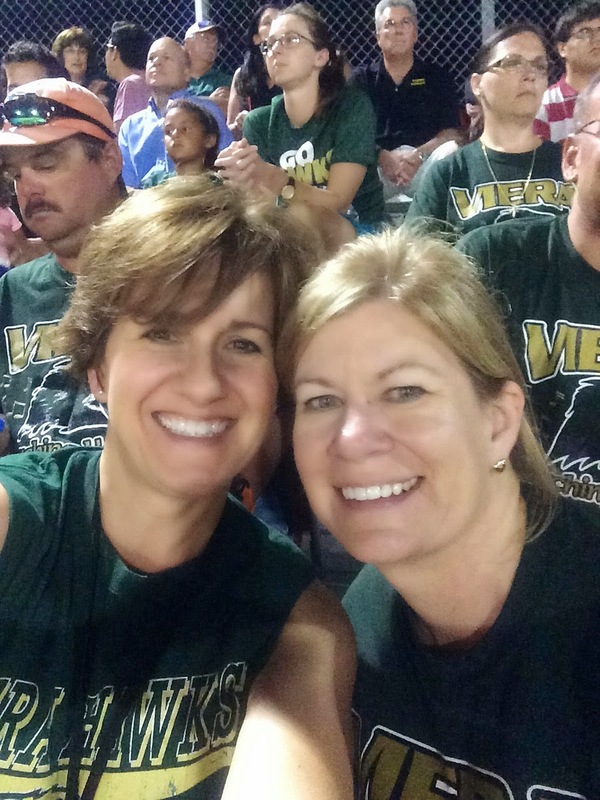 Last Friday night's game was in the middle of a downpour, but Viera High still won it. I was soaked right down to the undies, but it was fun. I discovered Scrapbook Adhesive's new "My Stik" adhesive. 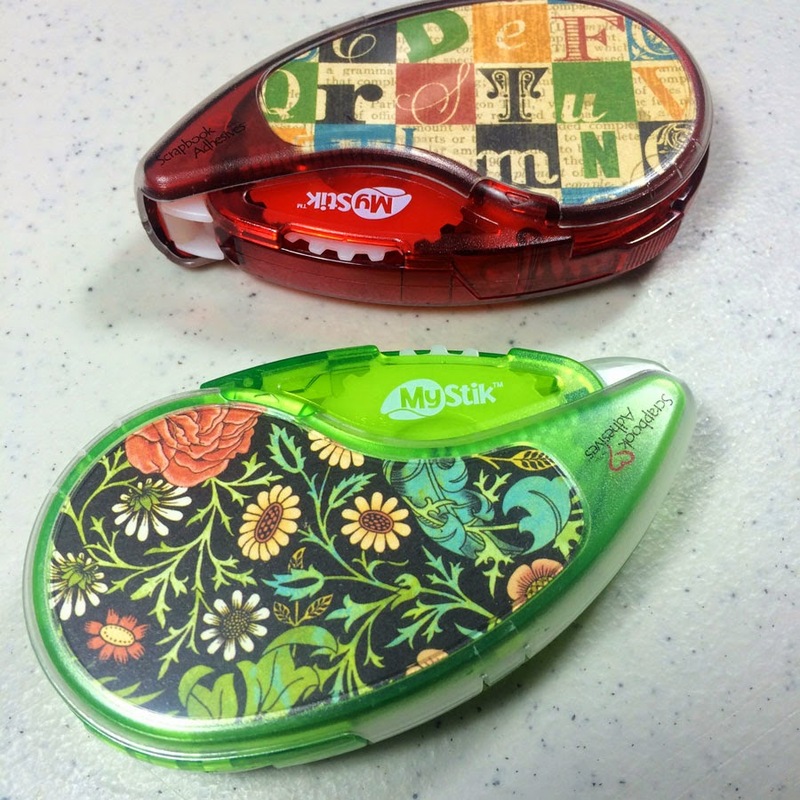 Love these refillable cases you can customize with your own papers or photos. 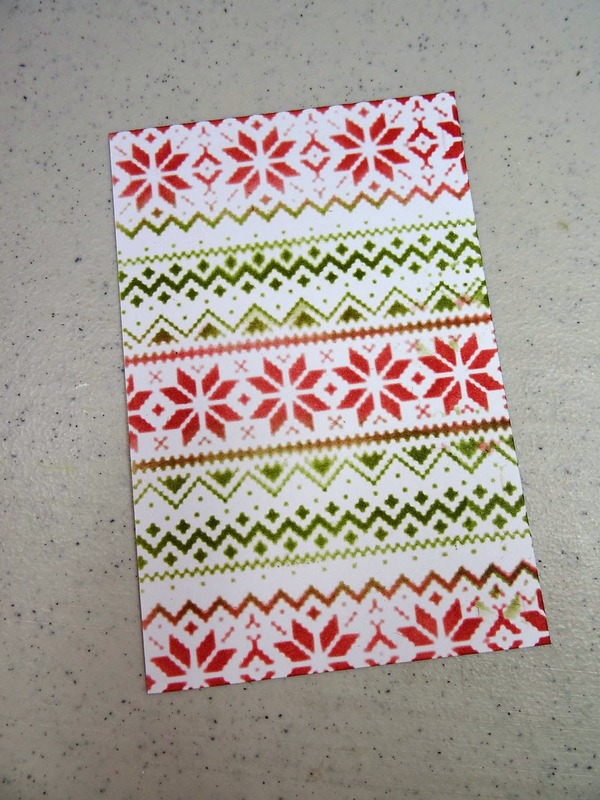 Created a special Christmas-themed project for Graphic 45 to teach shop owners and customers. 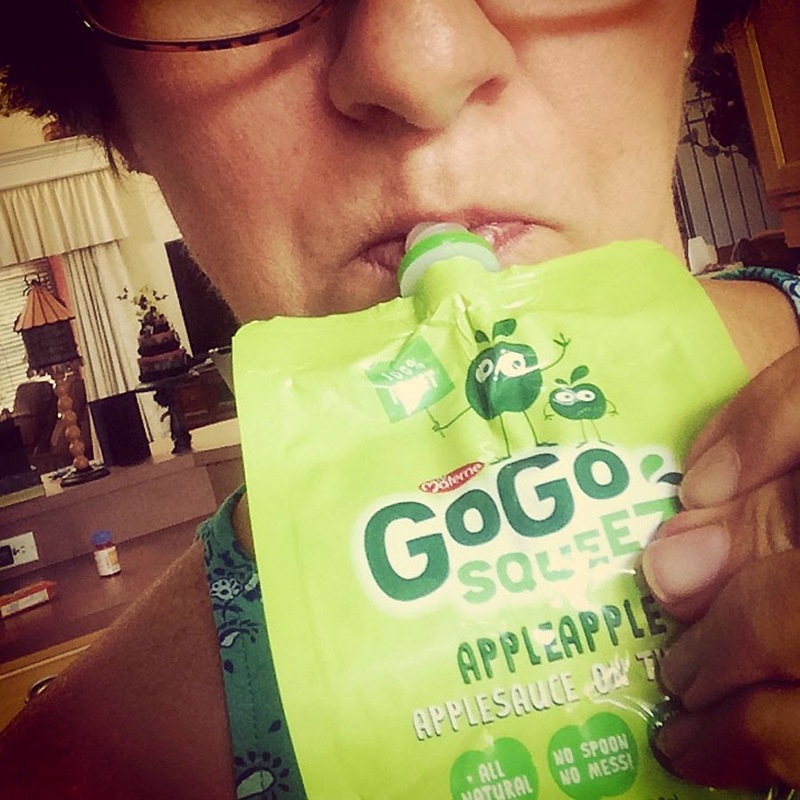 Discovered I like squeezable applesauce. 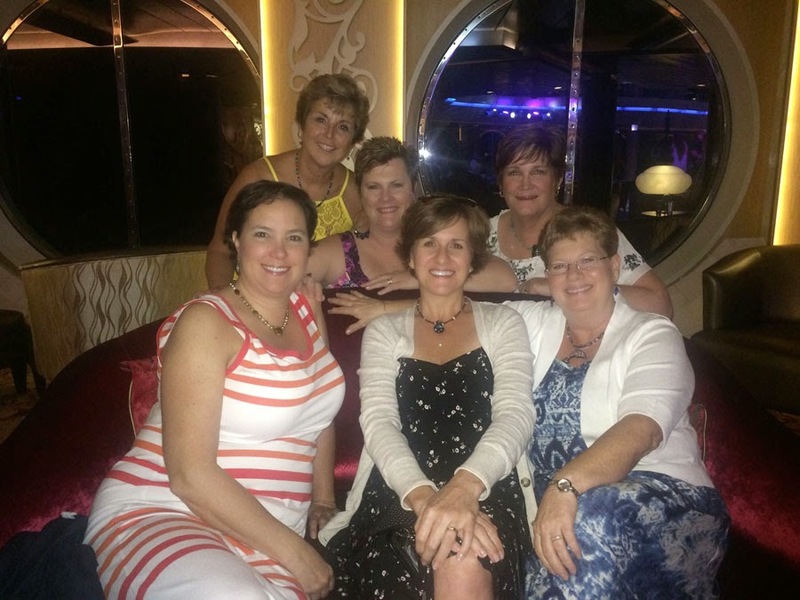 Went on a cruise with five fun friends, celebrating Tiffany's 50th birthday together. Tiff is right behind me to the left. 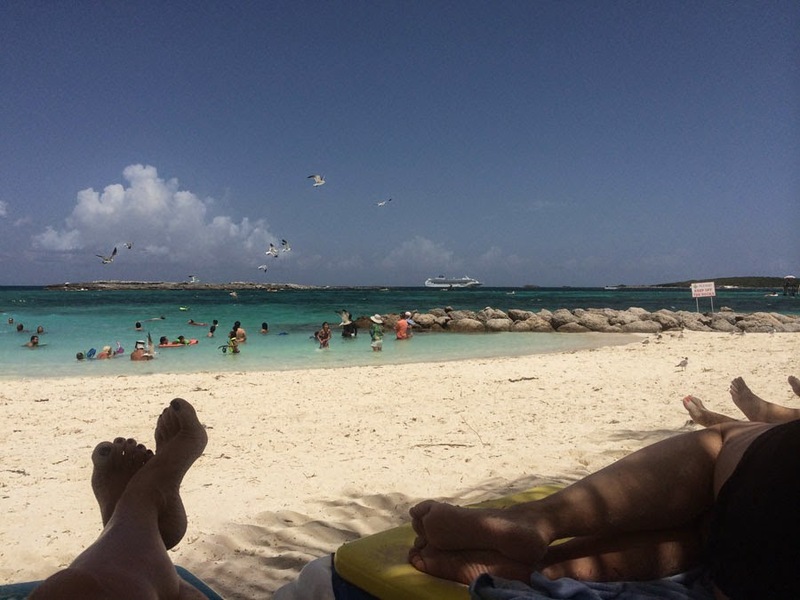 Drank tropical drinks on the beach at Cocoa Cay. 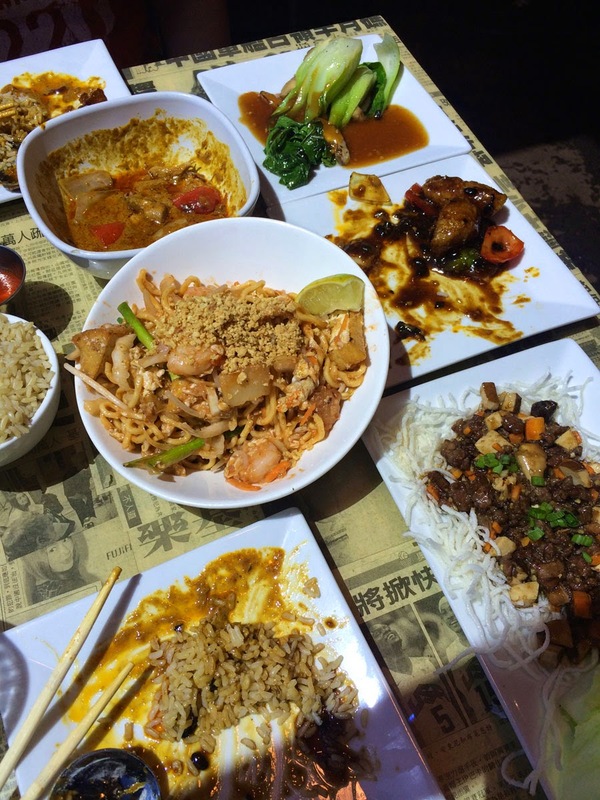 Ate at Hawkers Asian Street Fare in Orlando for the first time with my pal Sherry. Can't wait to go back there again. 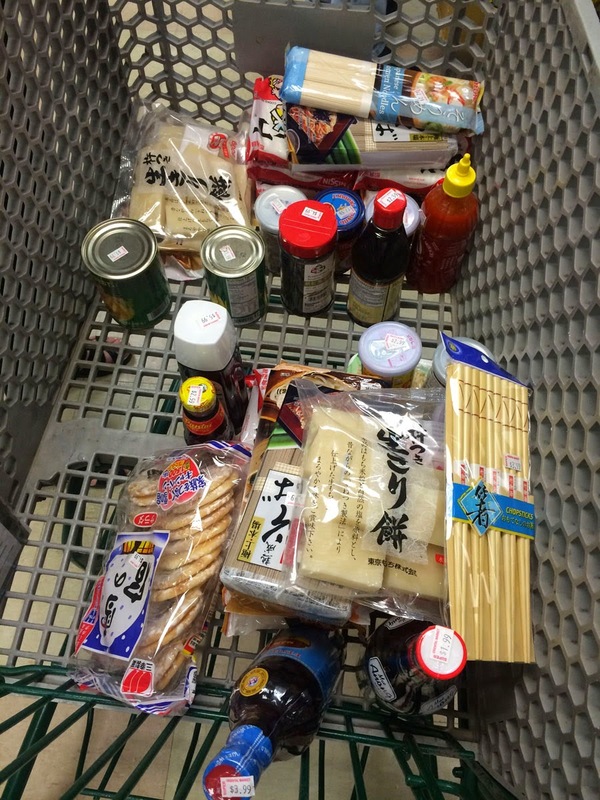 Shopped at a huge Asian grocery in Orlando and stocked up on some of our family favorites. 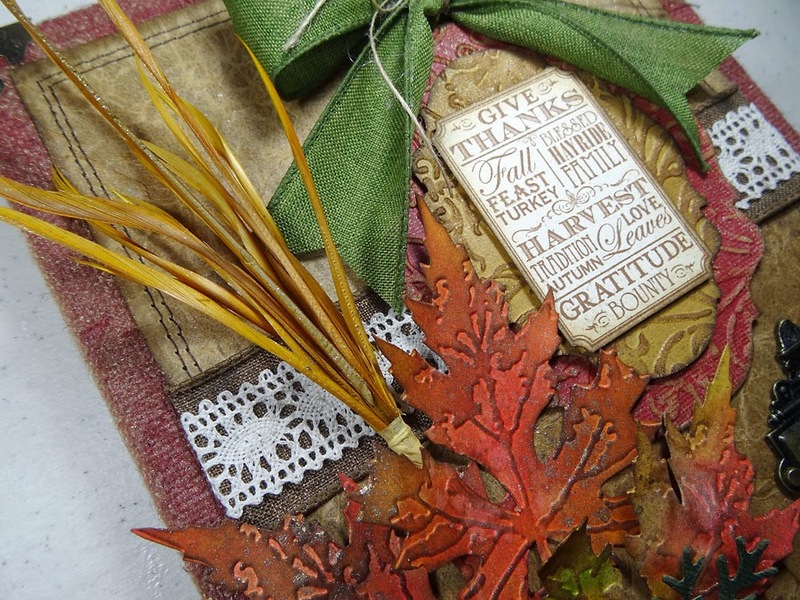 Purchased Tim Holtz's new Layered Leaf Die with texture fade and played around with that. 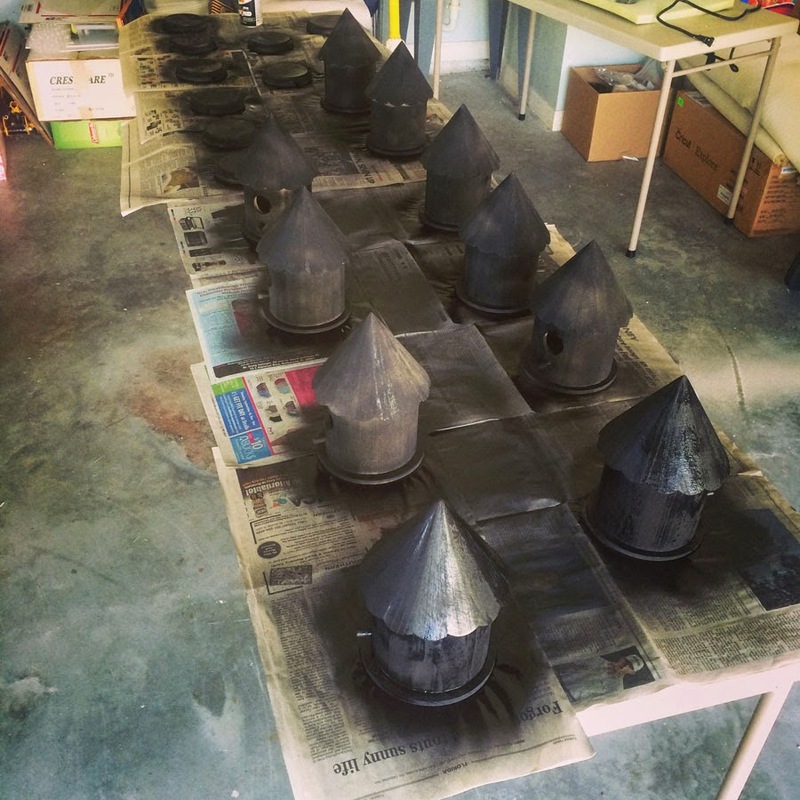 Spray painted ten wooden birdhouses and bases for class. 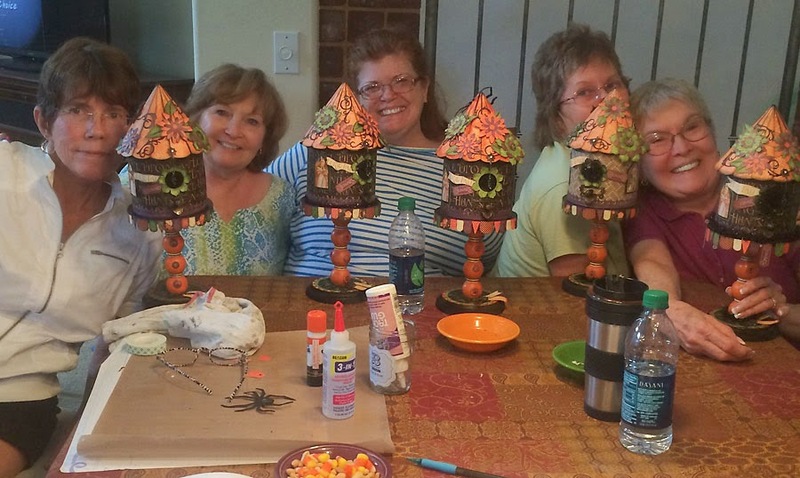 Taught the Eerie Tale Spooky Birdhouse class. Some of the class with their mostly finished houses. 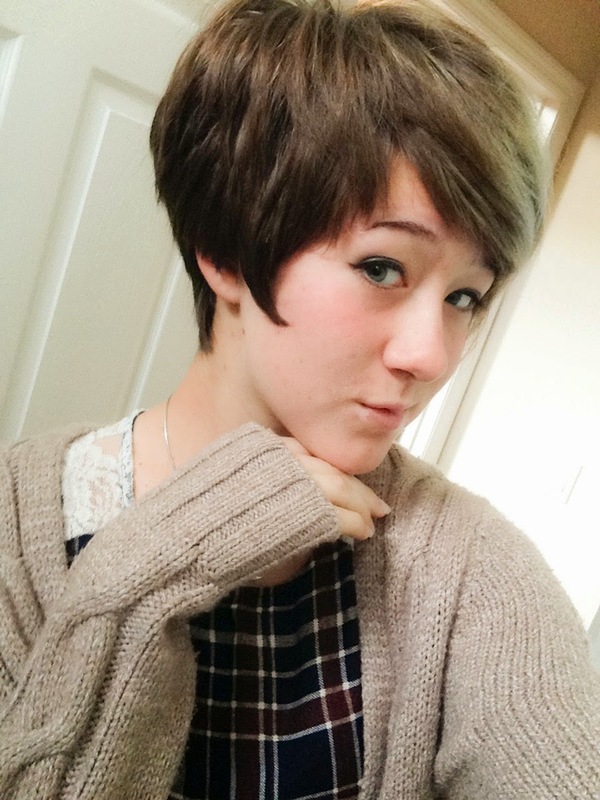 Jamie's growing out her pixie cut and trying new looks. I love this selfie she took. Enjoying Spirit Week at school. 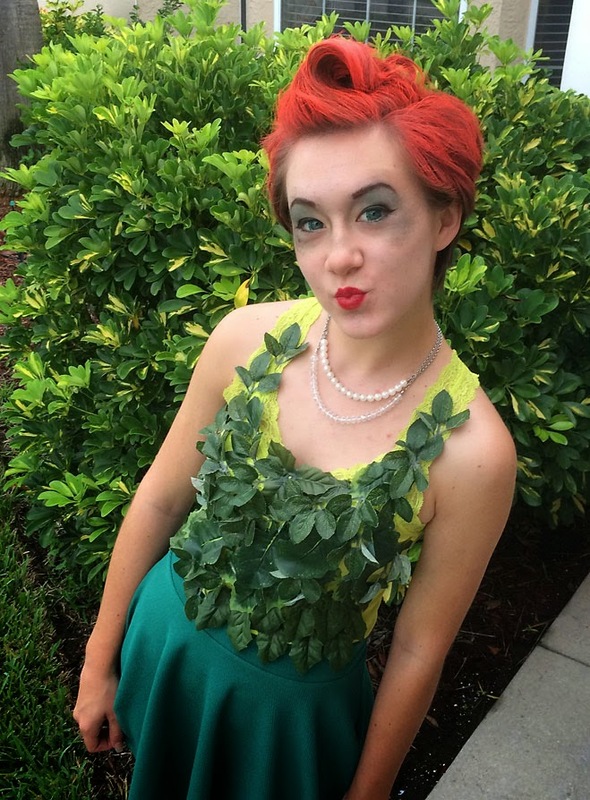 First day, she's dressed as Poison Ivy for Heroes and Villains. 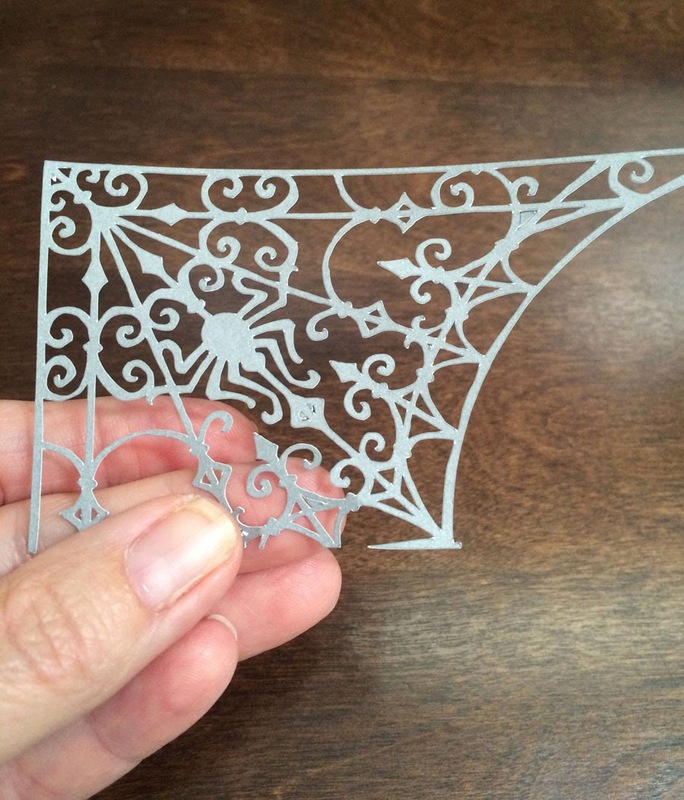 Finally trying out my new Cricut Explore, giving it a test run by cutting out a very intricate spider web. 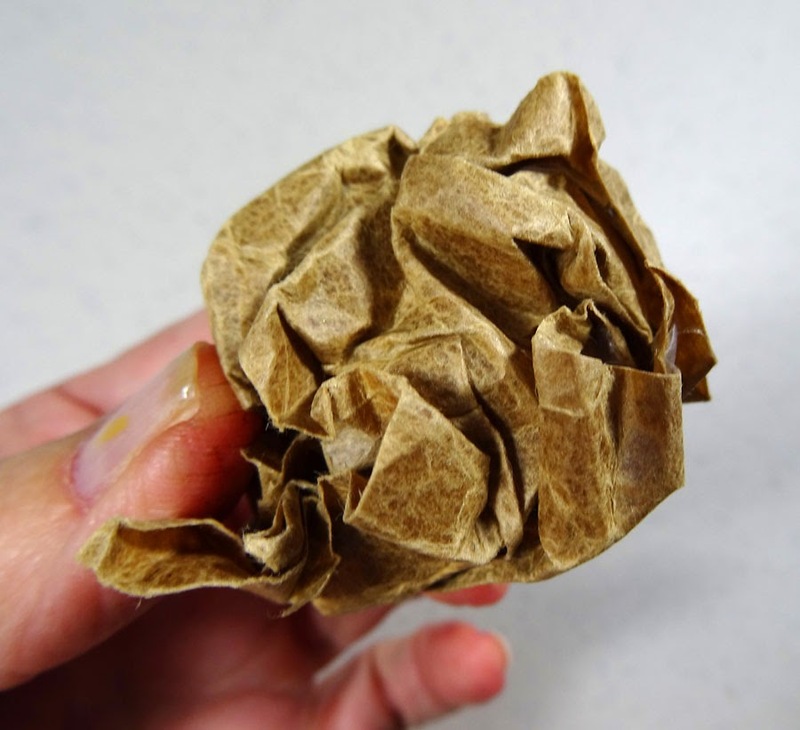 My Expression would have torn this to shreds. 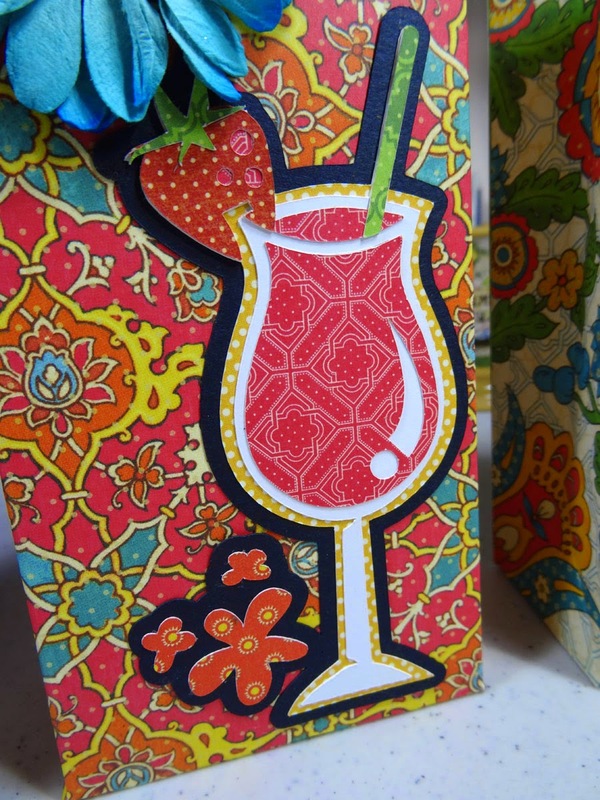 I love how easy it was to make a bunch of these fun cocktail glasses with many colorful layers. This is some Bohemian Bazaar papers from my stash. 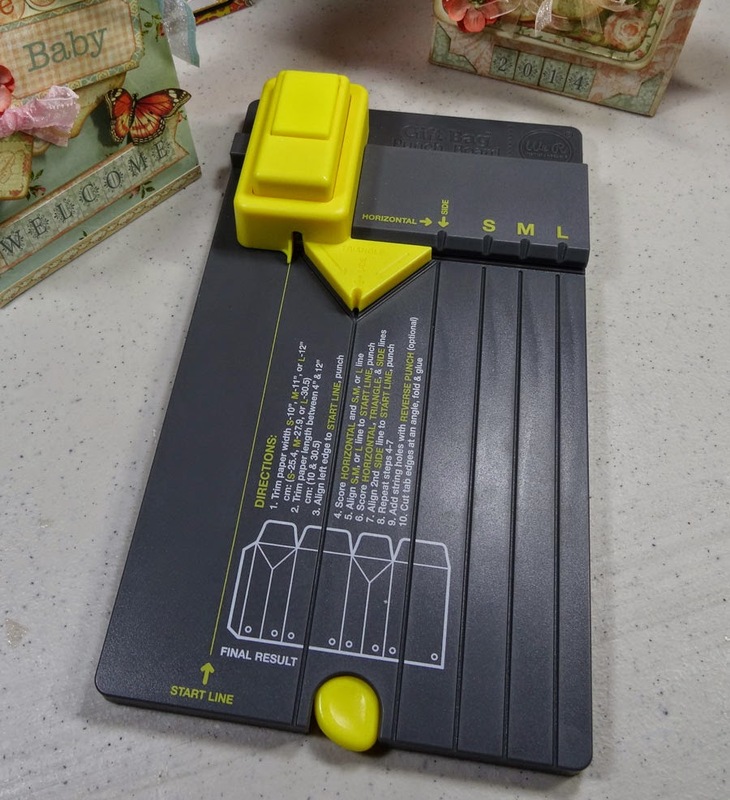 Bought the We R Memory Keepers Gift Bag Punch Board and went to town making LOTS of little bags. 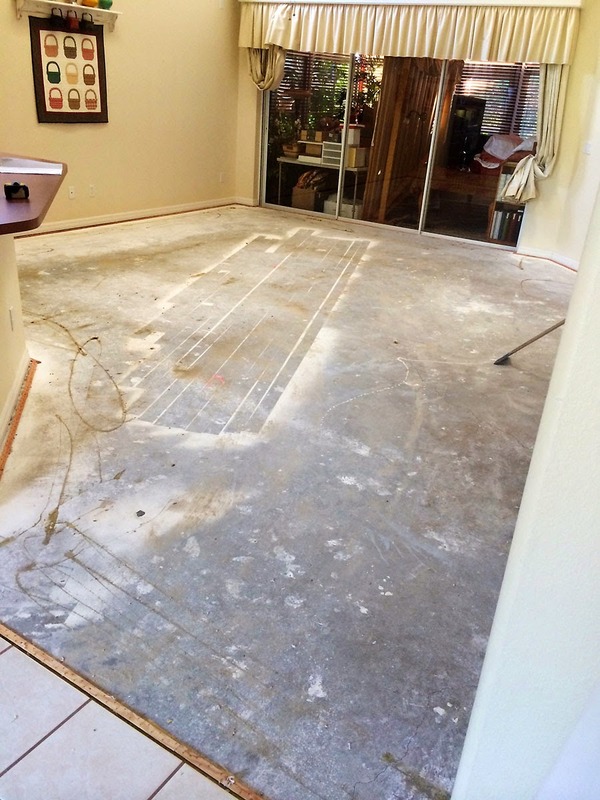 One of many projects I'm looking forward to sharing with you! So, that's how it's been around here lately. Today I'll be working on more things I can't show you yet, but soon, very soon. Thanks for stopping in and have a fantastic day! This is that time of year where this Florida girl is ready for some cooler temps and some sense that it's fall time. I find that if I decorate the house with all sorts of fall accents, it helps. So this weekend, all the stuff is coming down from the attic and going up! 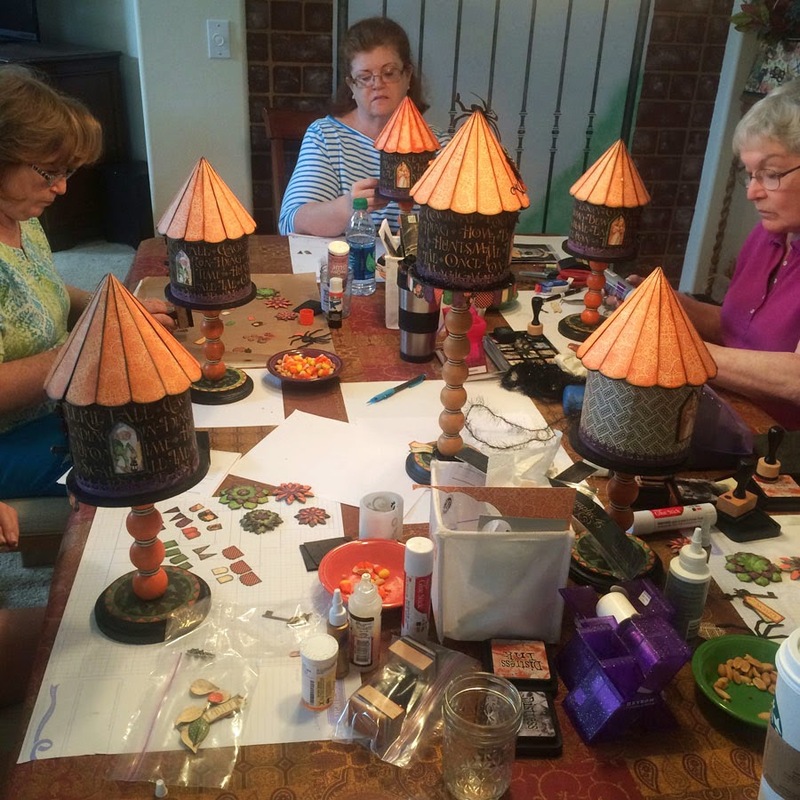 I decided to make a new home decor piece for the house this year and I'm entering it into Inspiration Emporium's "Fall is in the Air" challenge. I used lots of great products you can find at InspirationEmporium.com like Tim Holtz Sizzix dies and texture fades, Ranger's Distress Paints and Stains, and Tim's Idea-ology findings. 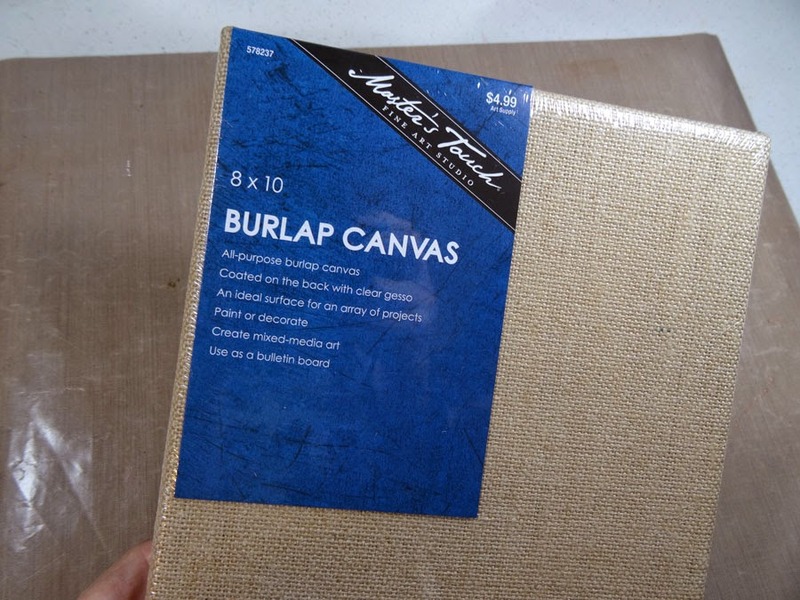 Here's a look at my Fall Burlap Canvas and how I created it. 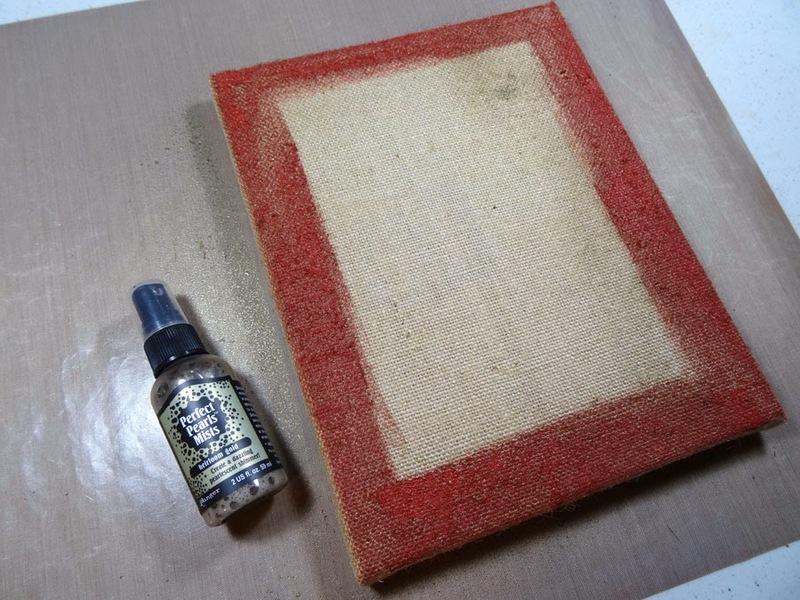 I started with an 8 x 10 burlap canvas from the craft store. 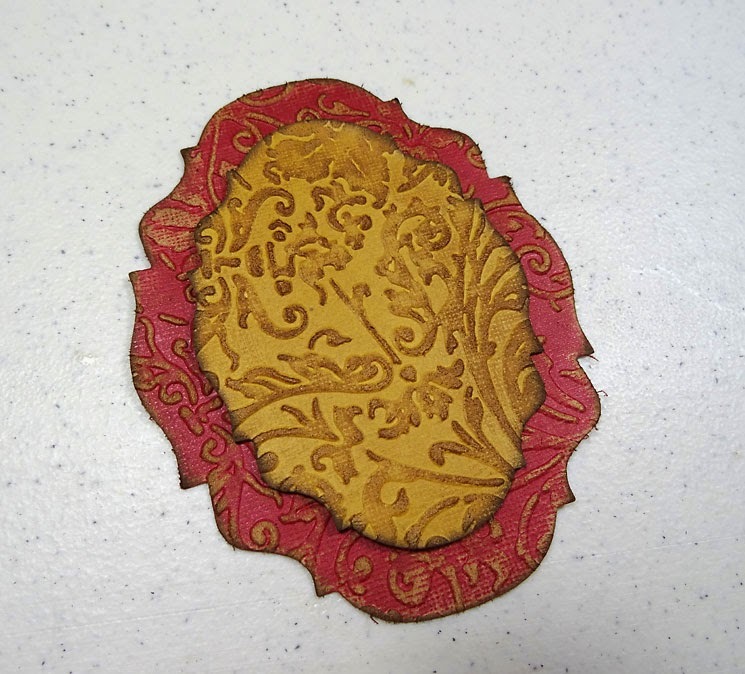 I painted the outer area with some deep red acrylic paint, then spritzed it with Heirloom Gold Perfect Pearls spray. 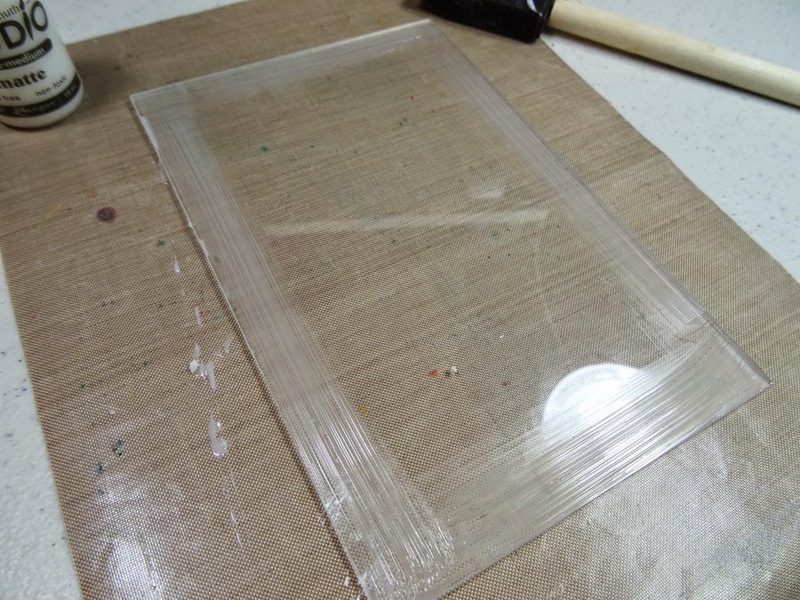 I balled up two pieces of Kraft Glassine to create crinkles. Then smoothed out both pieces and inked over the surface with Gathered Twigs Distress Ink. 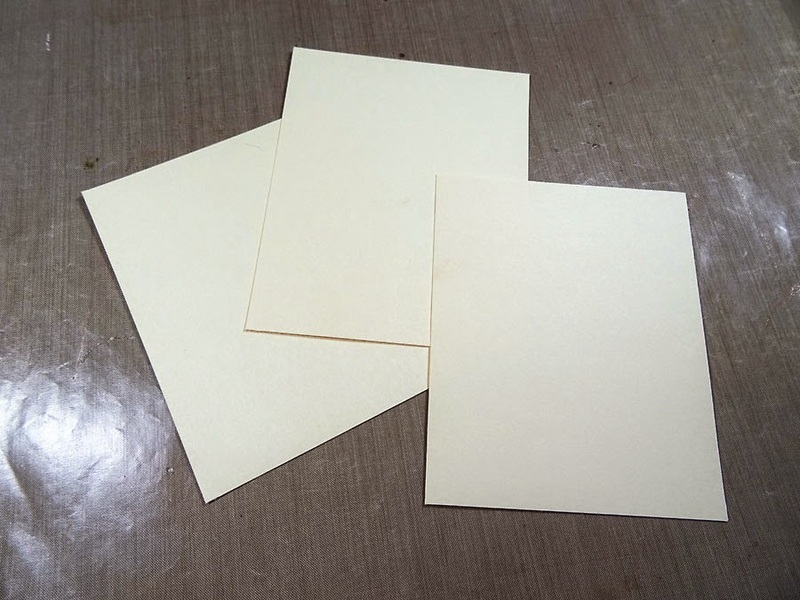 After gluing both pieces of Kraft Glassine to a 7" x 9" piece of card stock with strong glue stick, I trimmed the excess, let the glue dry completely, then stitched a double stitch around the edges. Eventually I inked the outer edges with Walnut Stain Distress Ink. 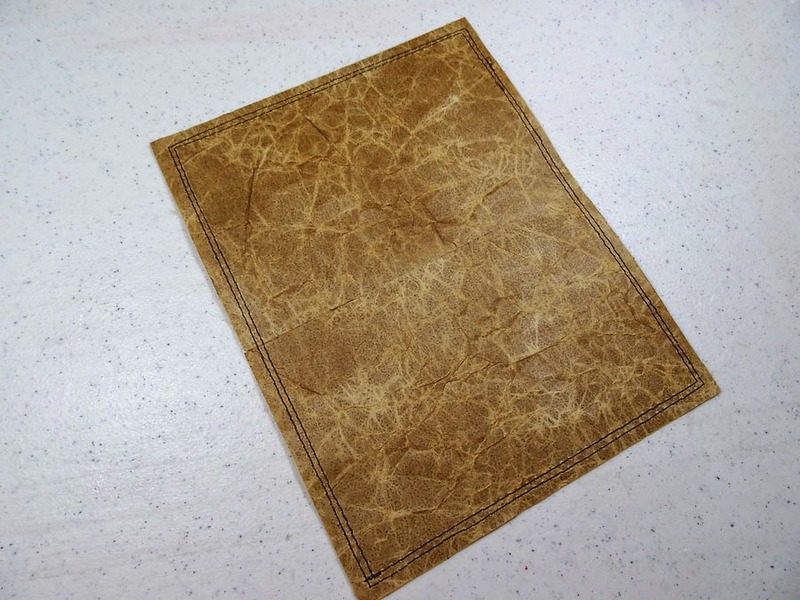 Now it looks a little like worn leather, don't you think? 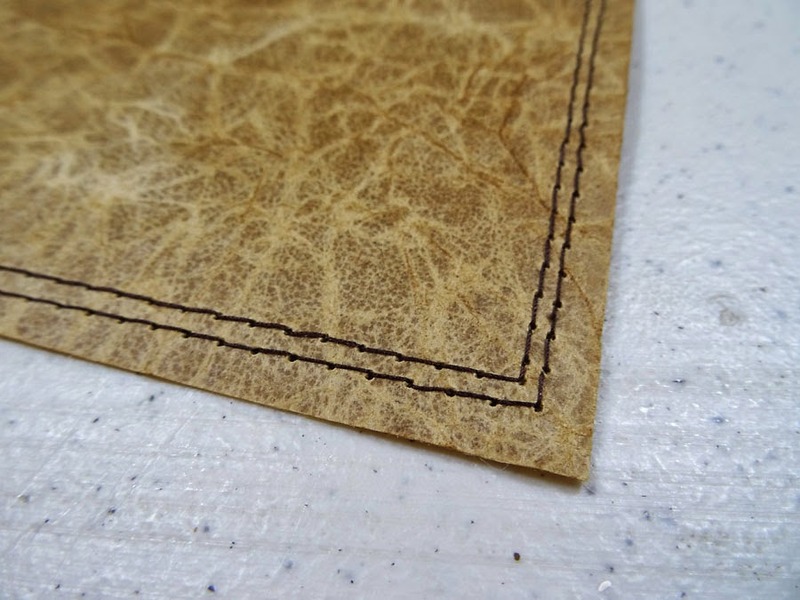 Next I adhered a wide dark brown linen ribbon across the seam of the two pieces of glassine, then layered some pretty lace over that, wrapping it around to the back side. 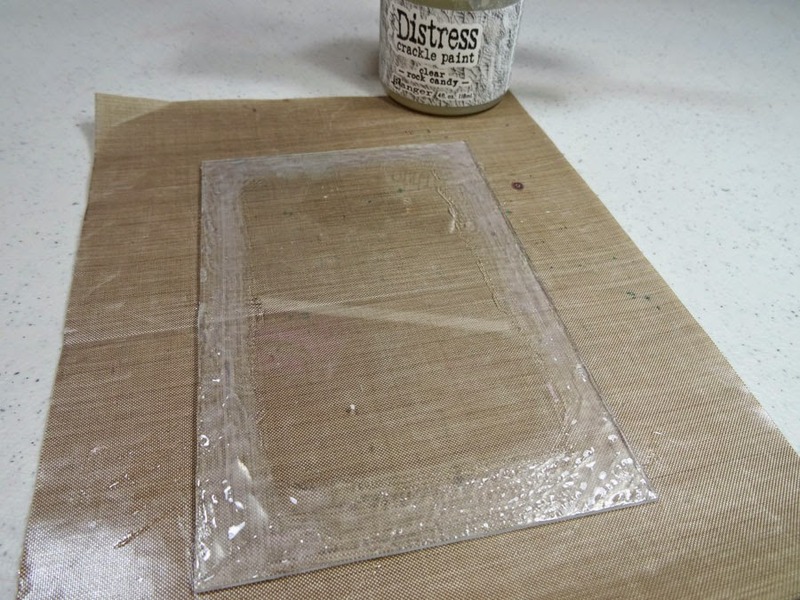 I glued the glassine unit down to the canvas, centered, then added four corner adornments with strong glue. 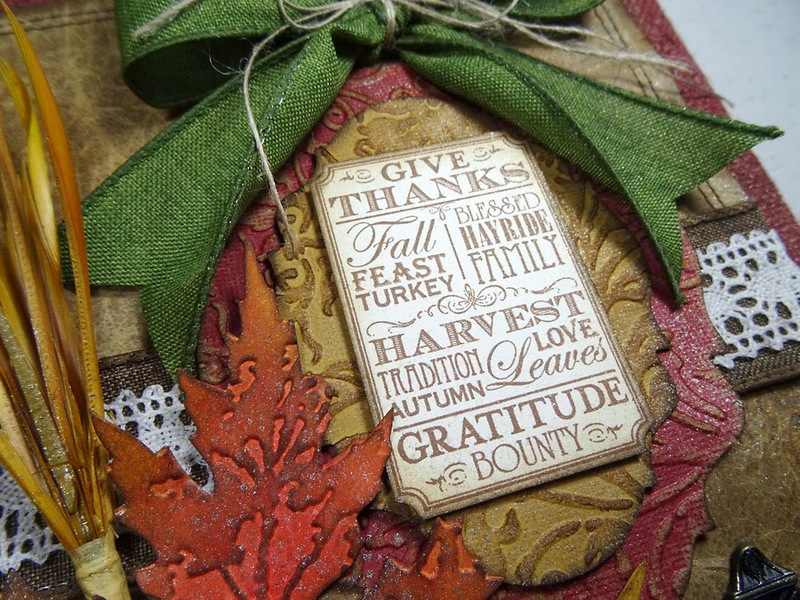 I was so inspired by Richele Christensen's wreath featured on Tim Holtz's blog last week, I knew I had to make something with the new Layered Leaf die. 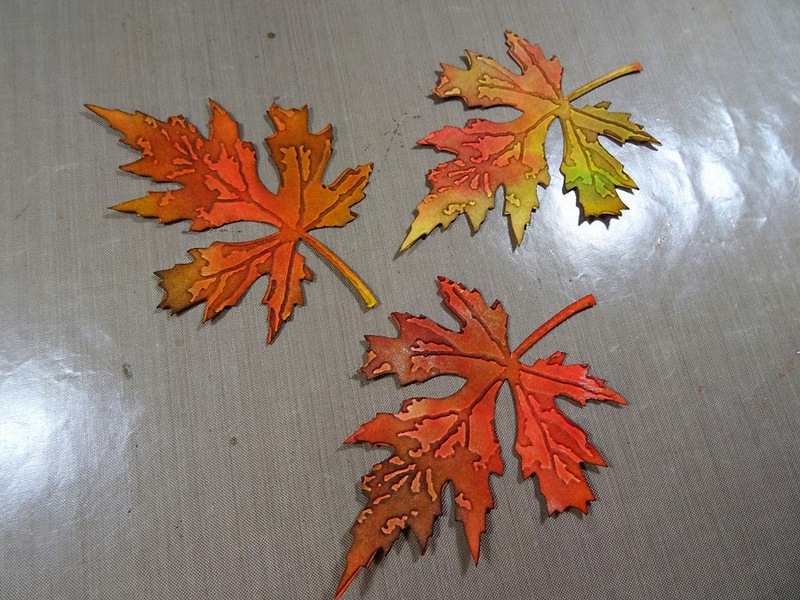 Like Richele, I cut three pieces of manila card stock for my leaves. I didn't take a photo of how I colored them, but it's pretty similar to Richele's method with Distress Stains. 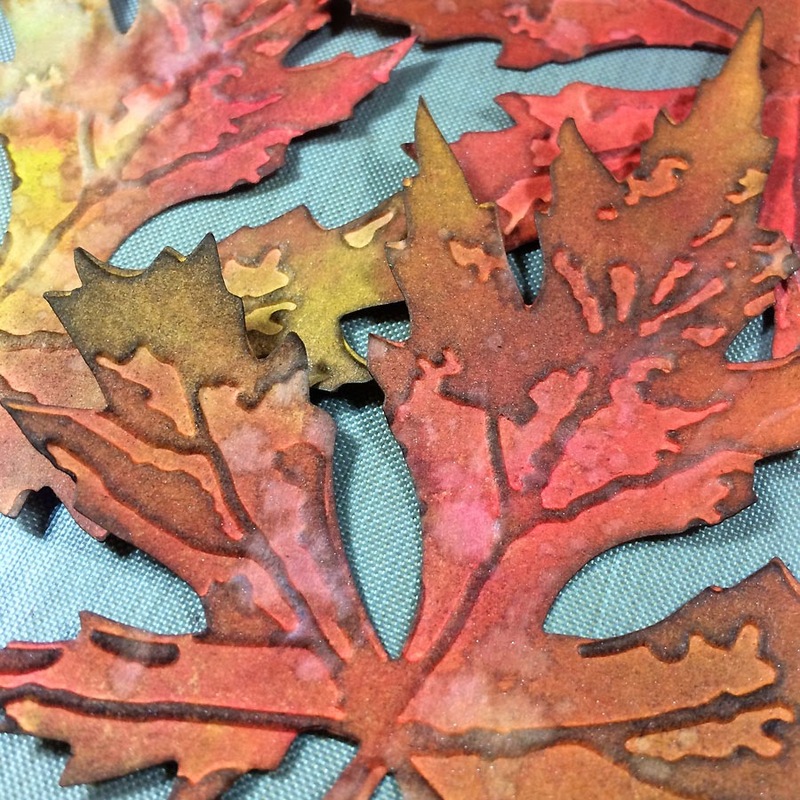 After cutting them out with the Layered Leaf die, I ran them through the coordinating Layered Leaf texture fade (which comes with the die, yay!). I inked over the raised surfaces and around the outer edges with Gathered Twigs Distress Ink. Then, to give them an even more natural look, I did Tim's "spritz and flick" technique by flicking water droplets over areas of the leaves. 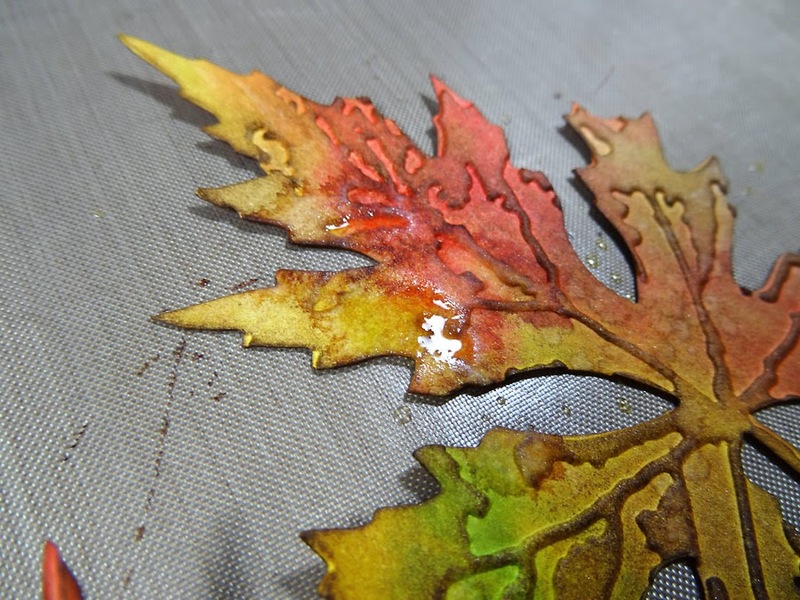 After the droplets sat there a minute, I blotted them with a paper towel and then dried the leaf with my heat tool. 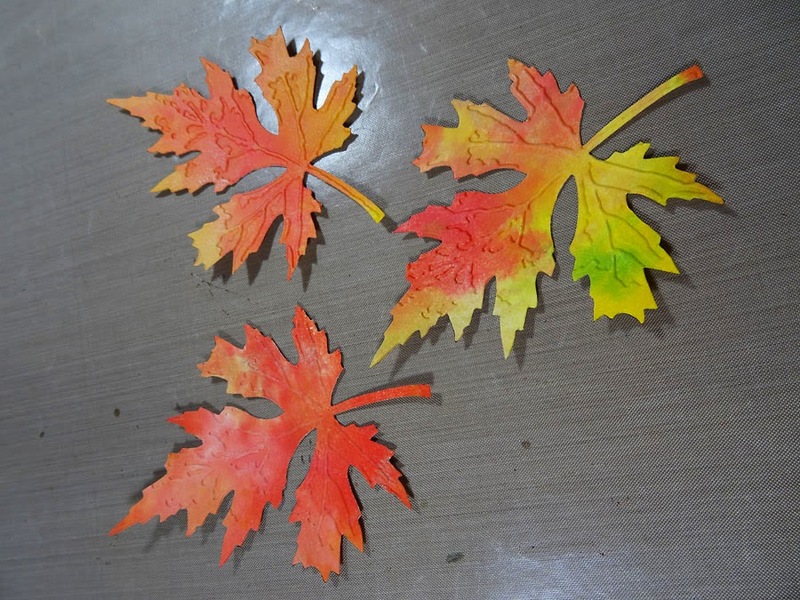 I love how this looks like a real leaf. 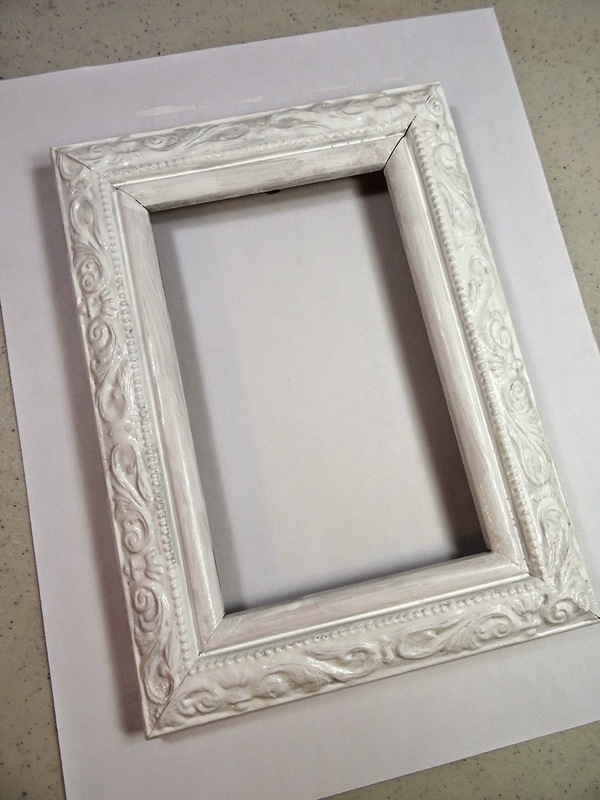 To adorn my canvas, I created a layered frame for my stamped sentiment using the Baroque die and the Baroque Mover and Shaper insert. 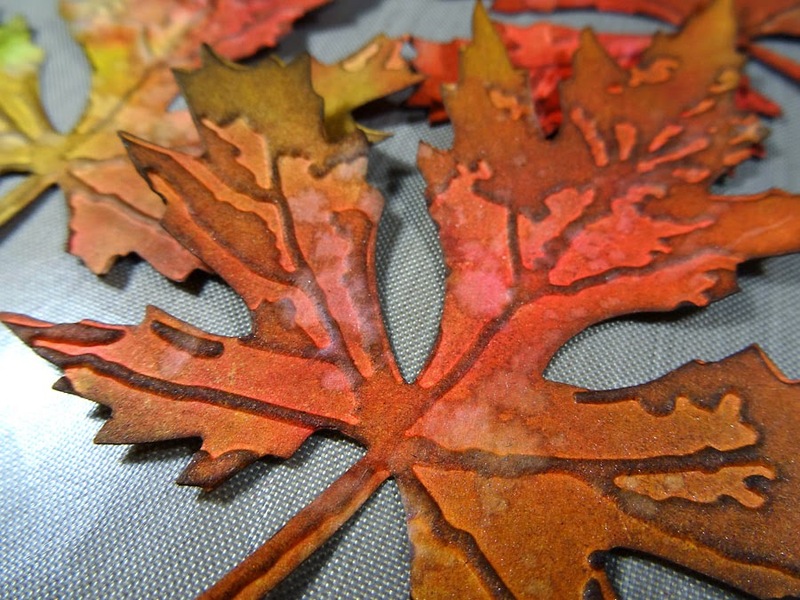 Then ran each through the Springtime background texture fade, sanded the surface and lightly inked with Gahered Twigs. 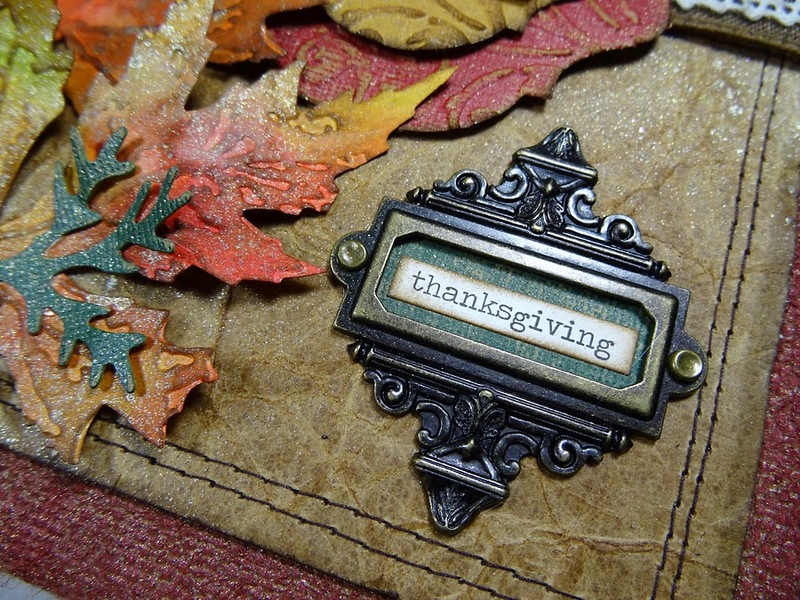 The stamp is called "Give Thanks Subway Art" by Stampabilities for Hobby Lobby. 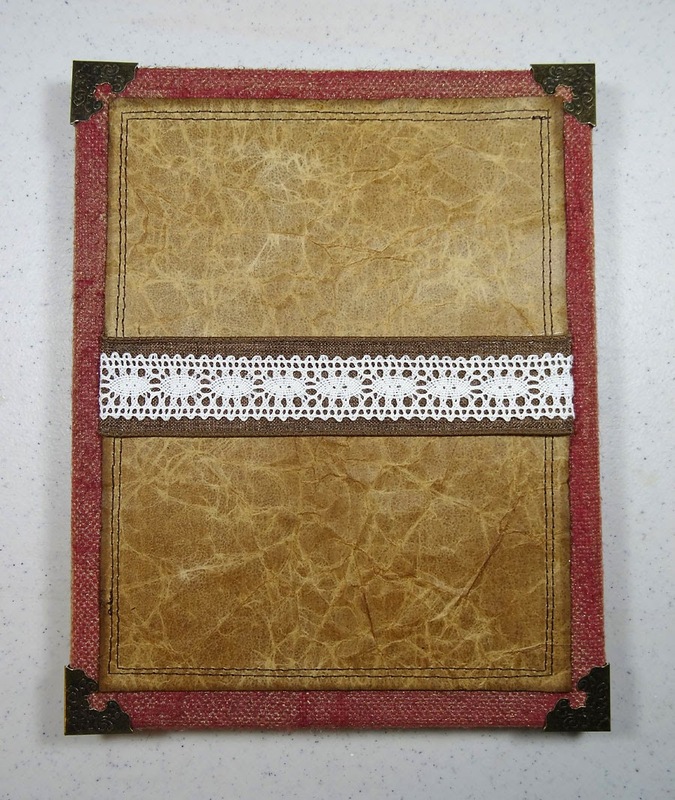 I stamped it with Coffee archival ink, cut around it closely and popped it up with foam tape onto my textured frame. 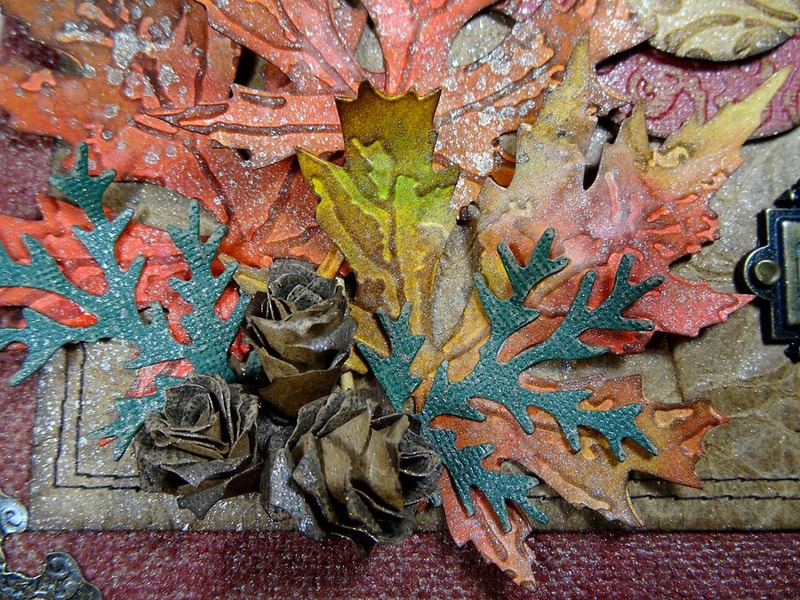 I layered the leaves with a fall pick from the craft store first, then created three pinecones and greenery from Tim's Tattered Pinecone die. I gave everything a spritz of Heirloom Gold Perfect Pearls spray for some added texture and shimmer. I used a Seasonal Chit Chat sticker inside an ornate plate with a bit of coordinating green card stock in the background. A big green linen bow with added twine goes across the top. Now I can hang it on the wall, or place it in a pretty stand on my foyer table to welcome those who visit me during this wonderful season. Thanks for stopping by today. I hope YOU'RE enjoying some fall temperatures where you are.